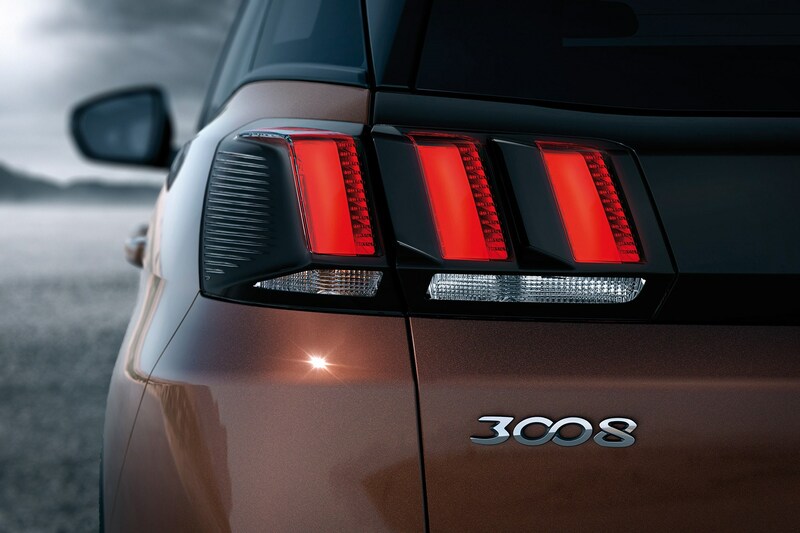 You’re unlikely to be disappointed by the kit count on even entry-level 3008 models. 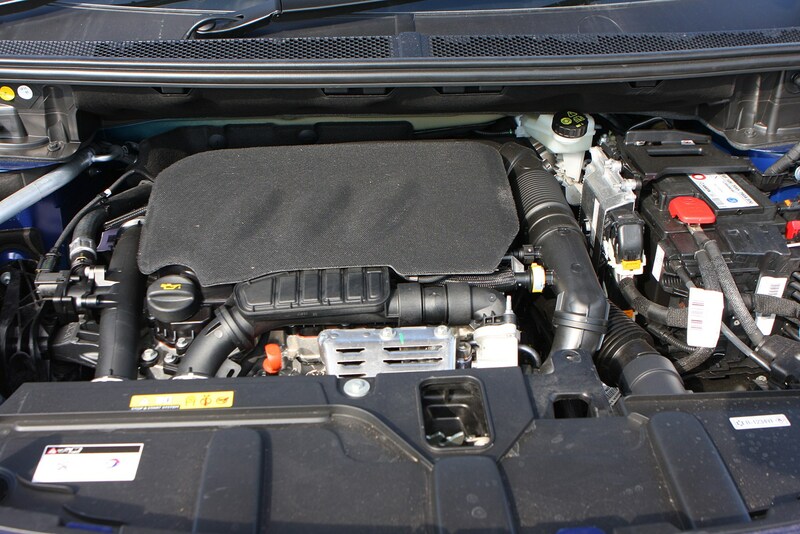 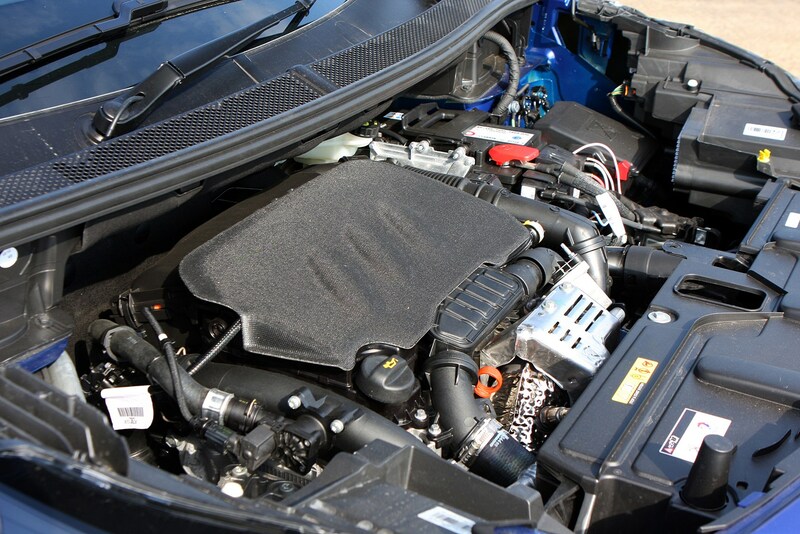 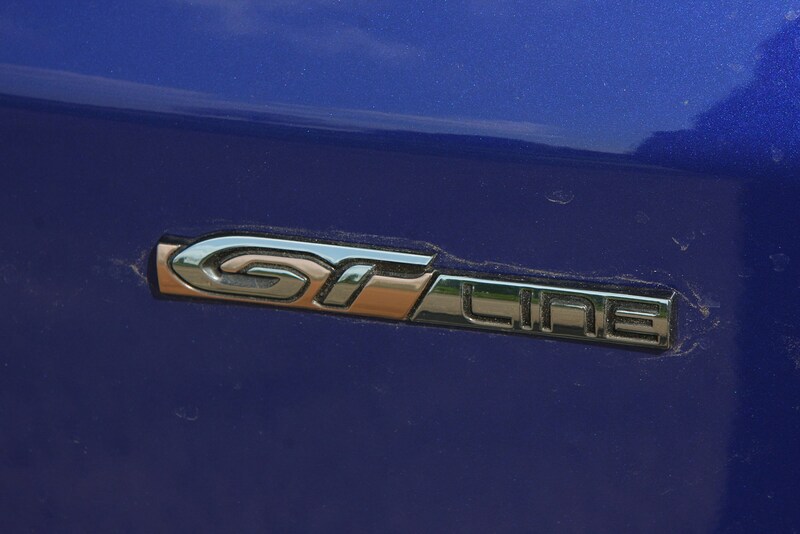 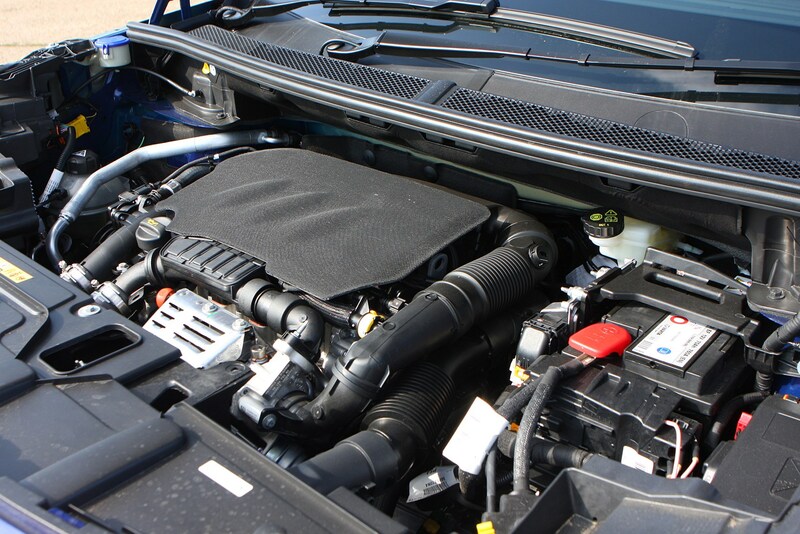 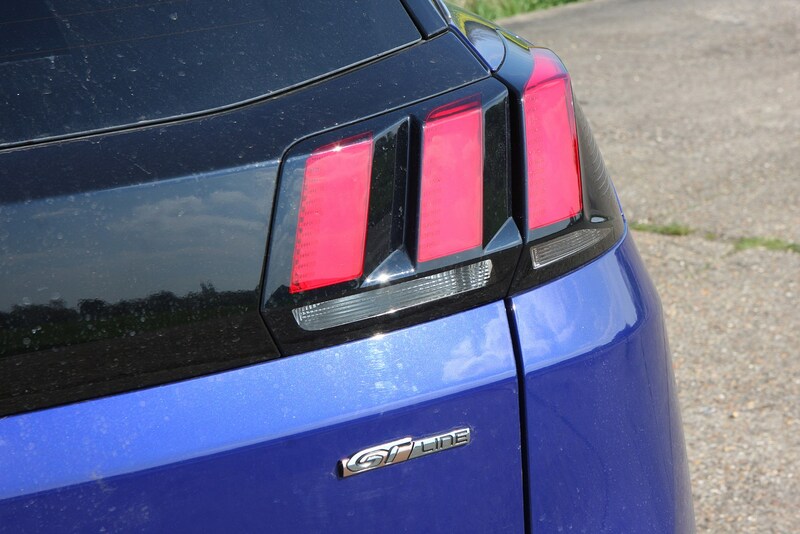 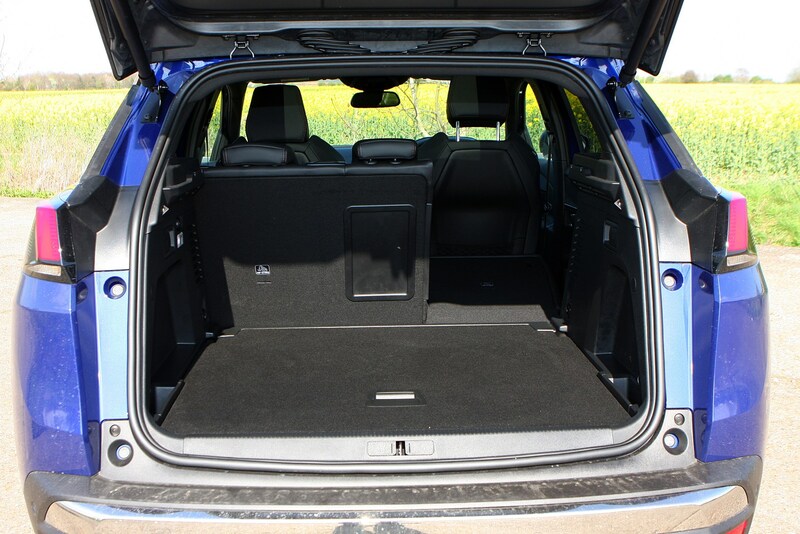 It comes with a generous amount of standard equipment, as well as plenty of desirable optional extras. 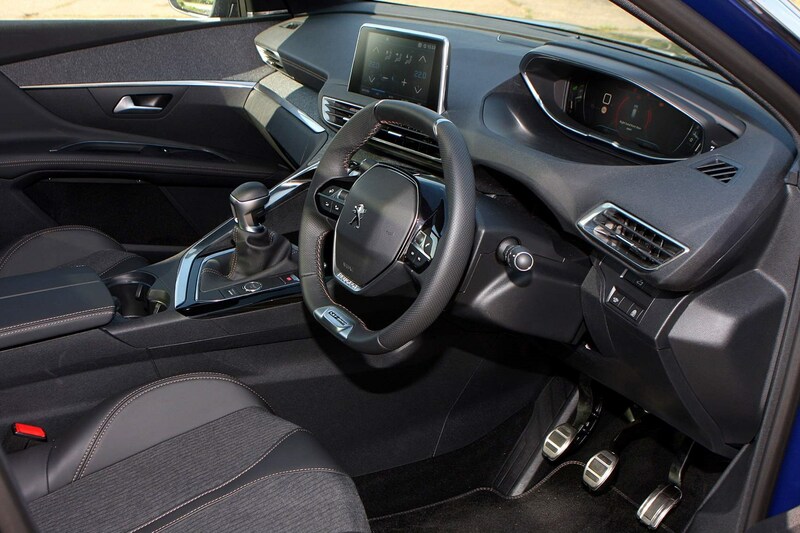 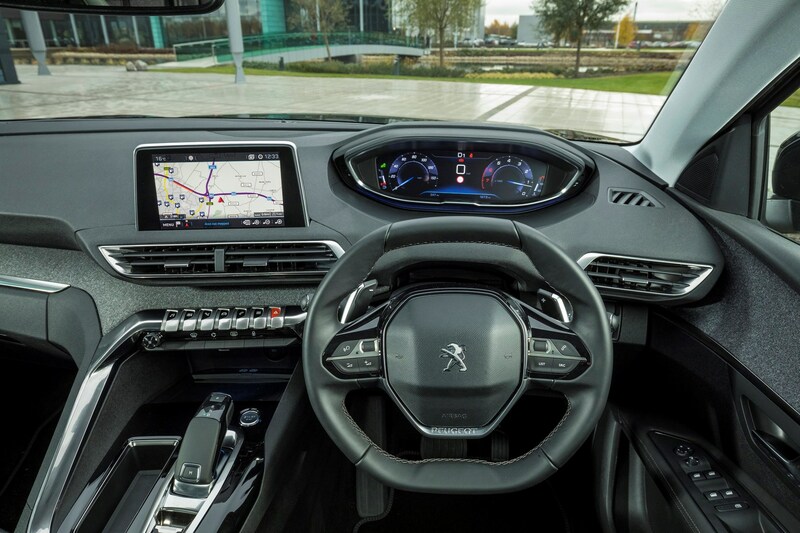 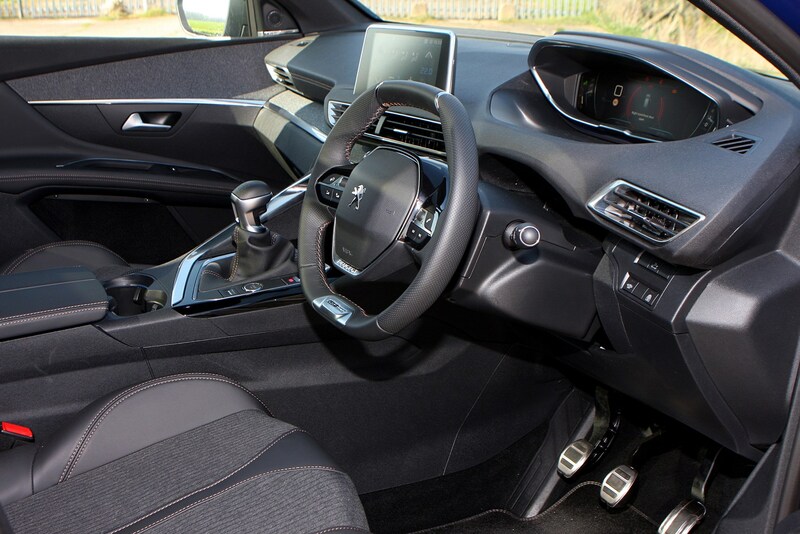 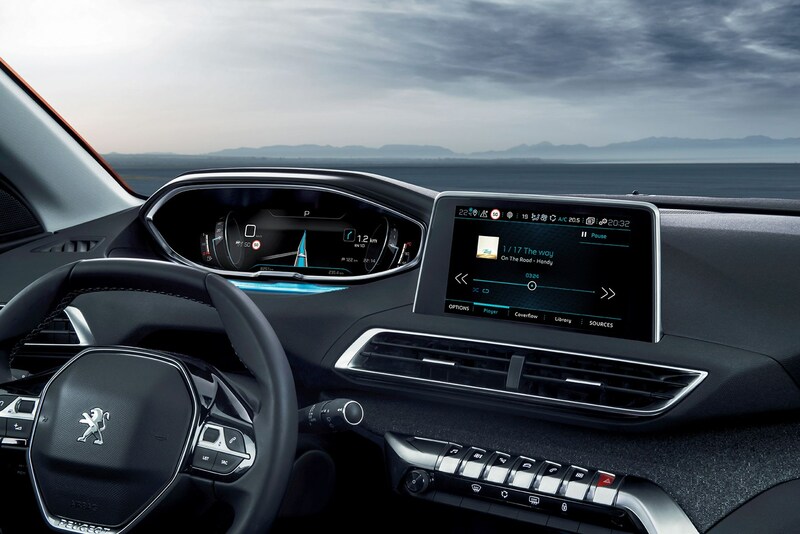 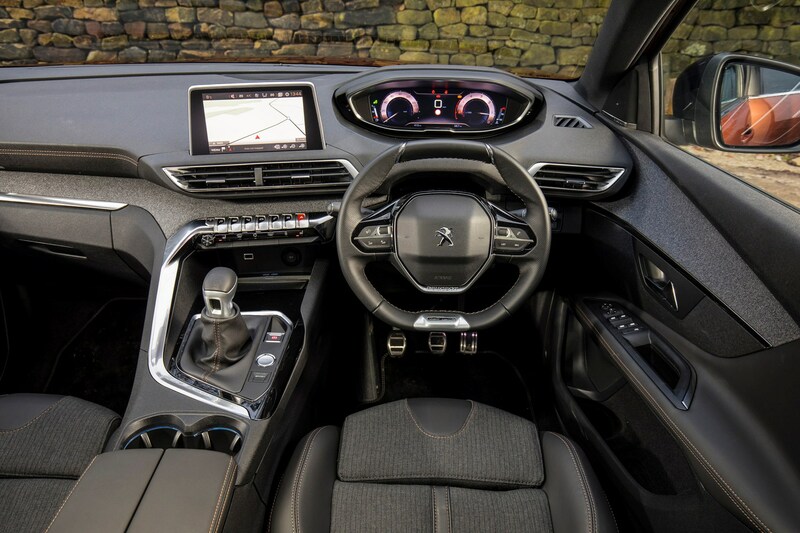 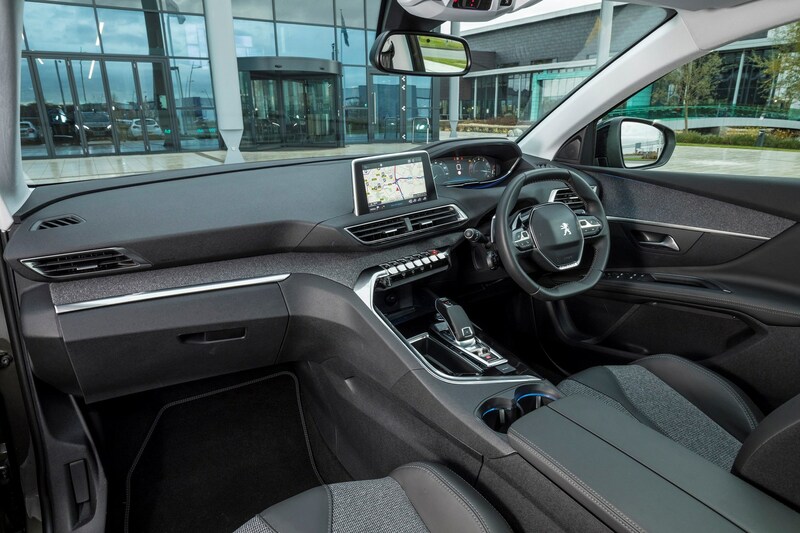 All 3008s have a huge raft of safety kit plus an 8.0-inch touchscreen media system and 12.3-inch configurable digital dials. 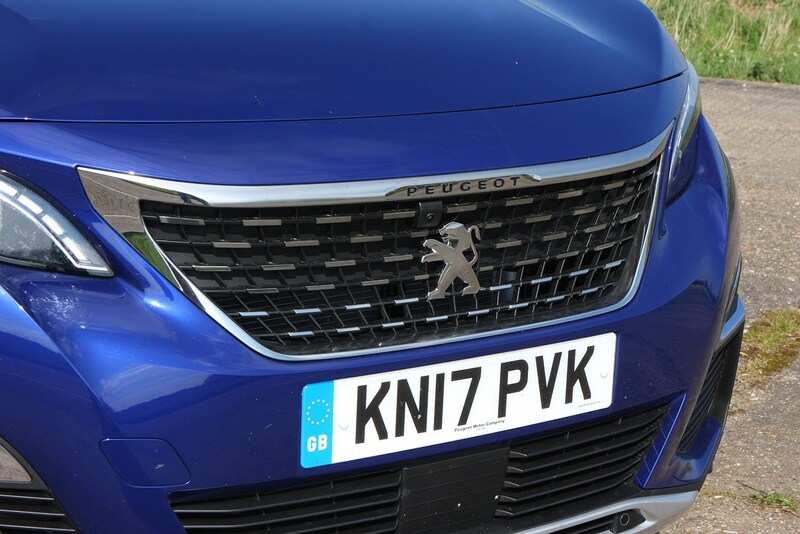 Peugeot says a majority of buyers opt for pricier but better equipped models. 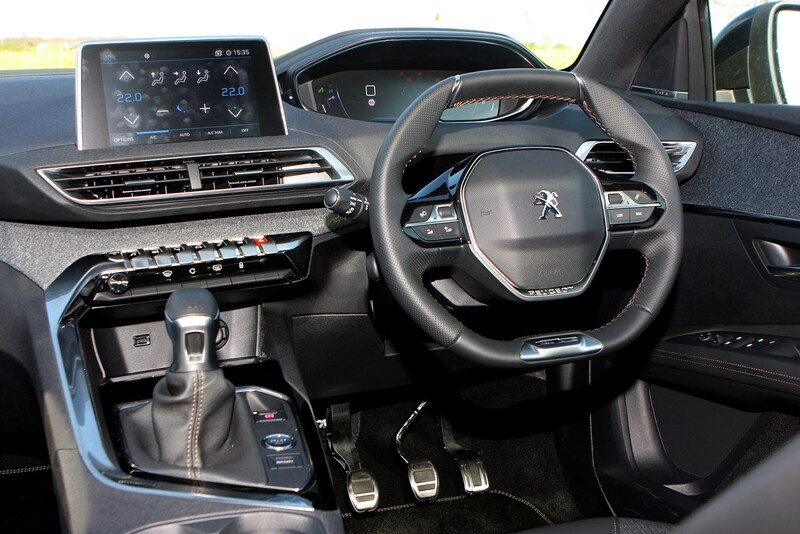 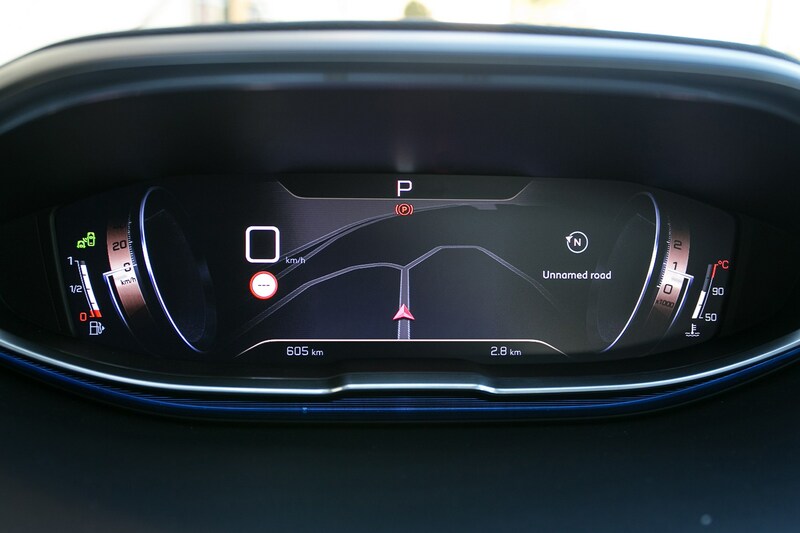 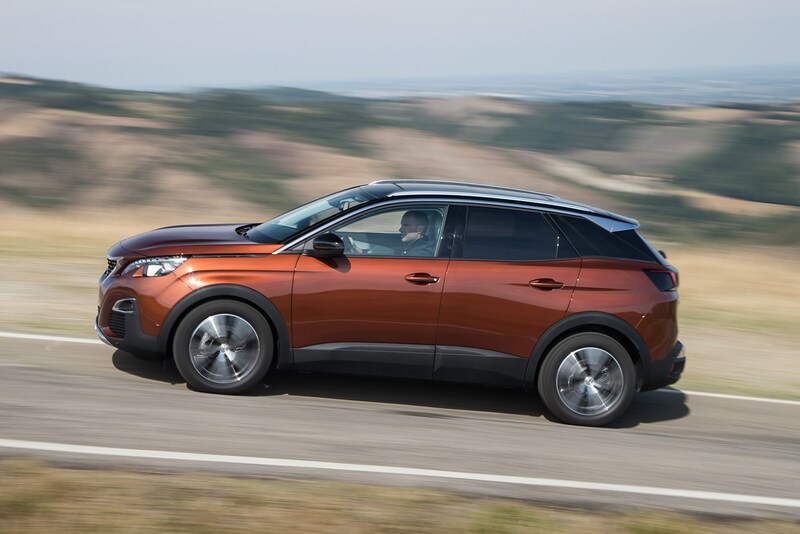 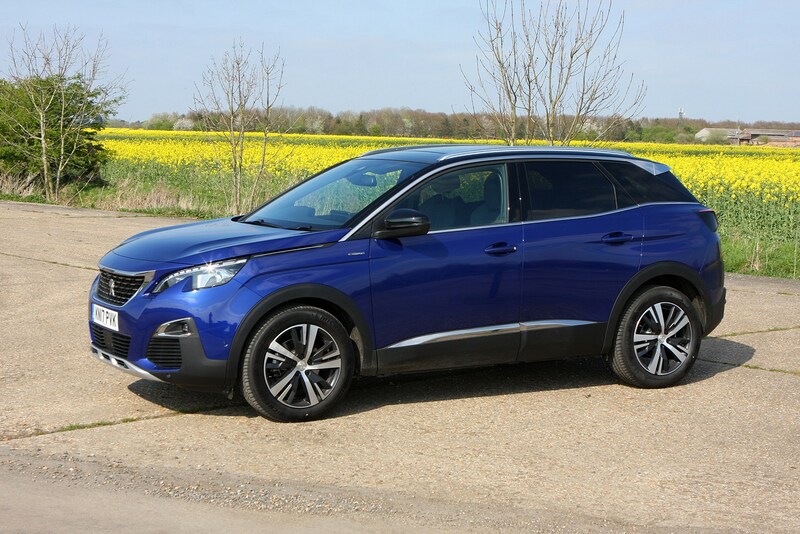 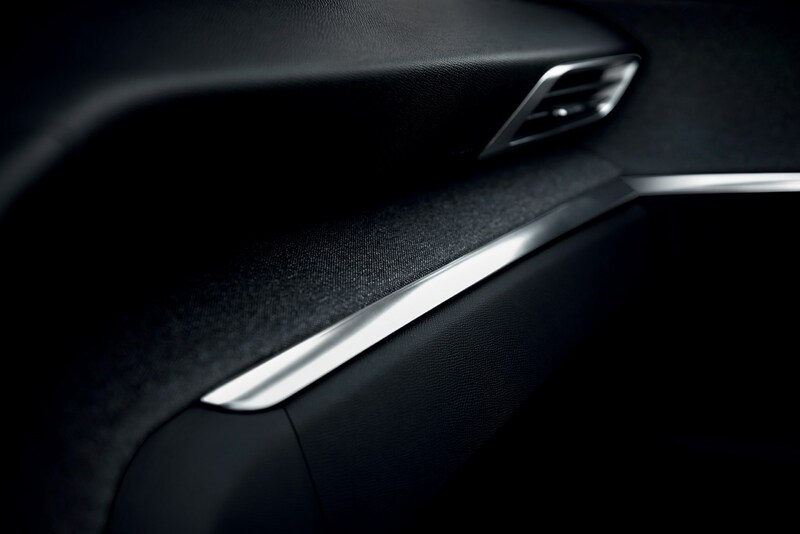 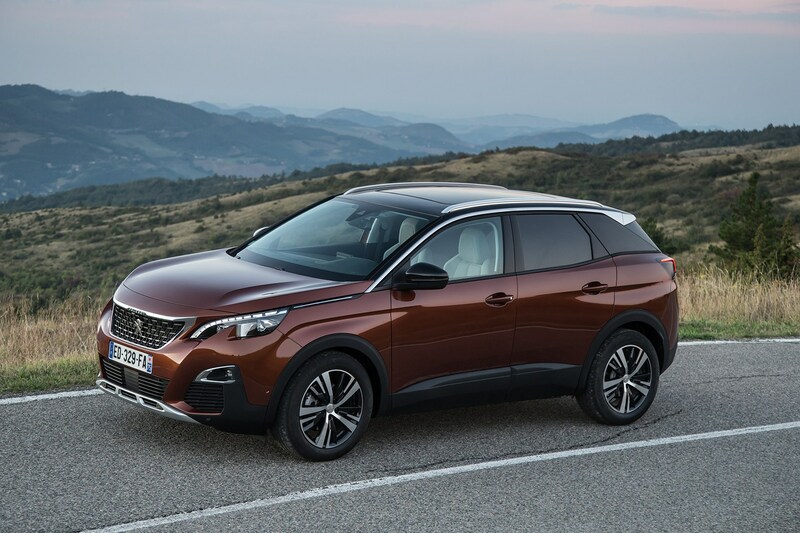 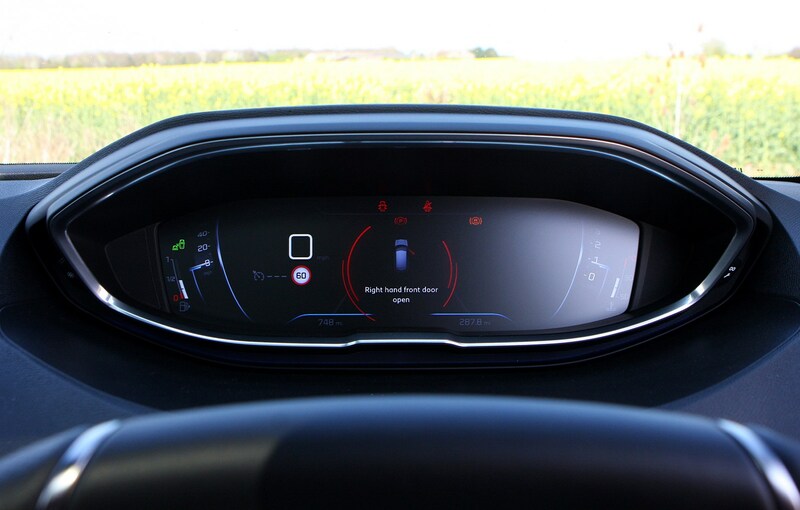 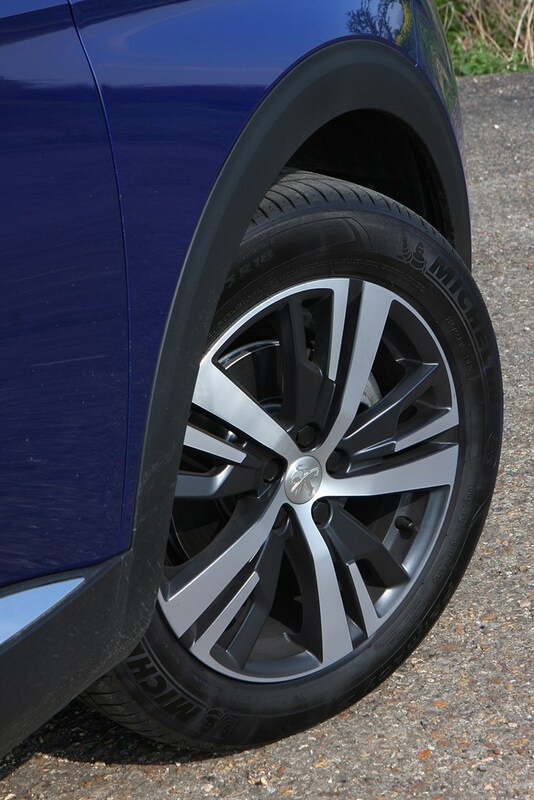 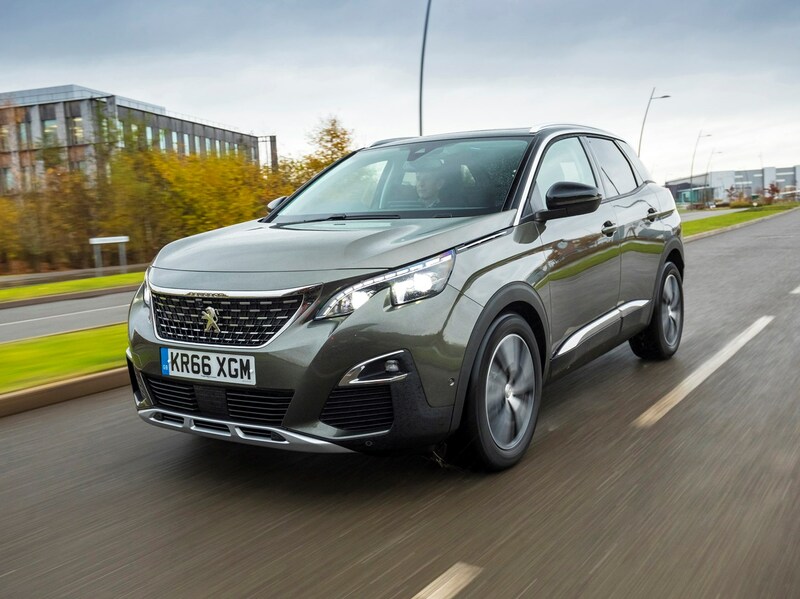 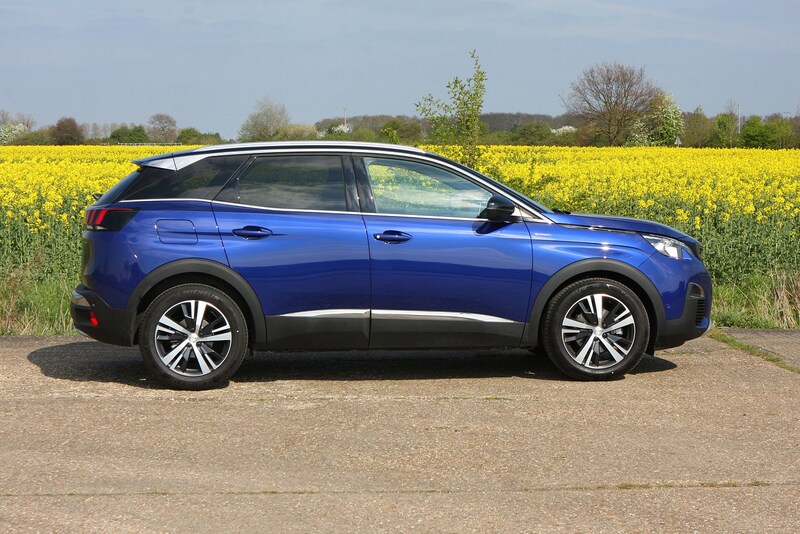 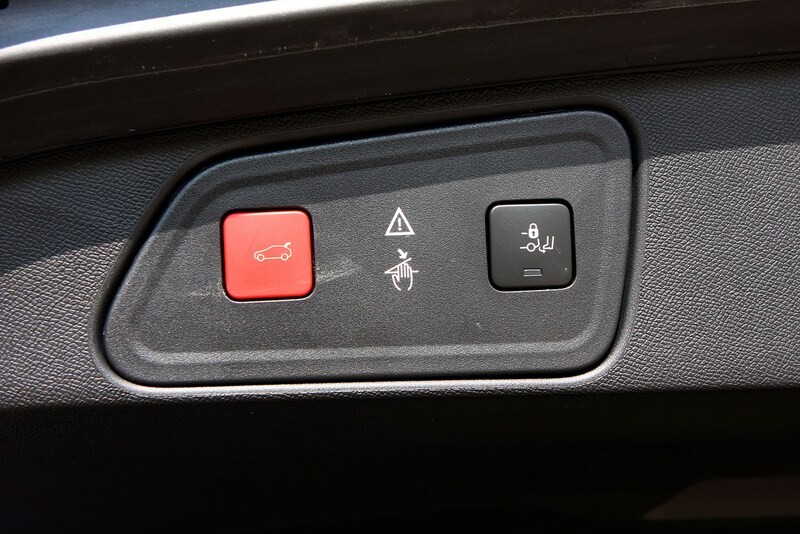 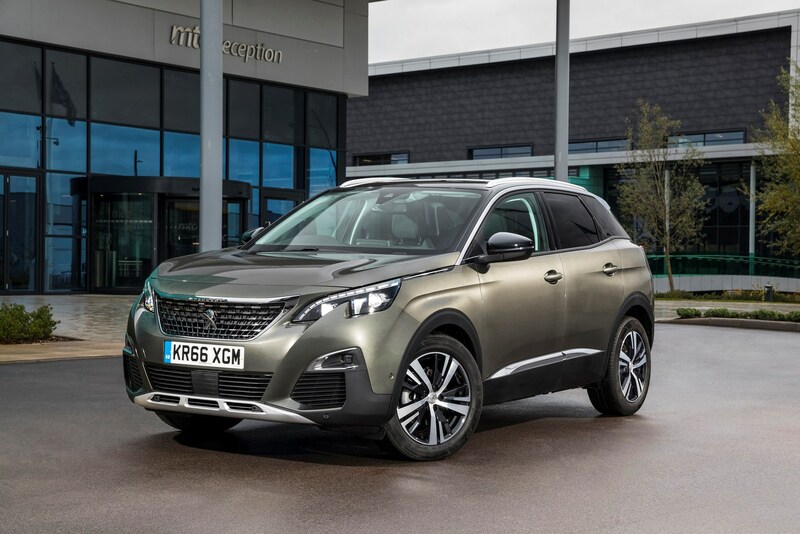 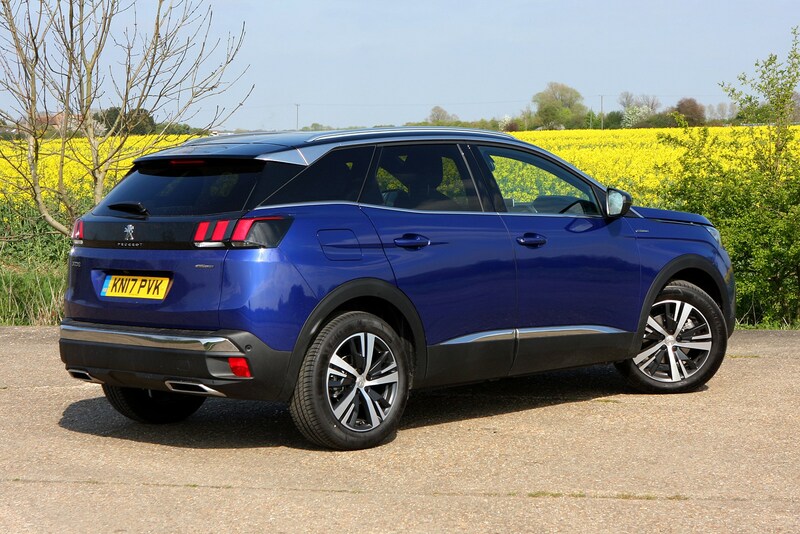 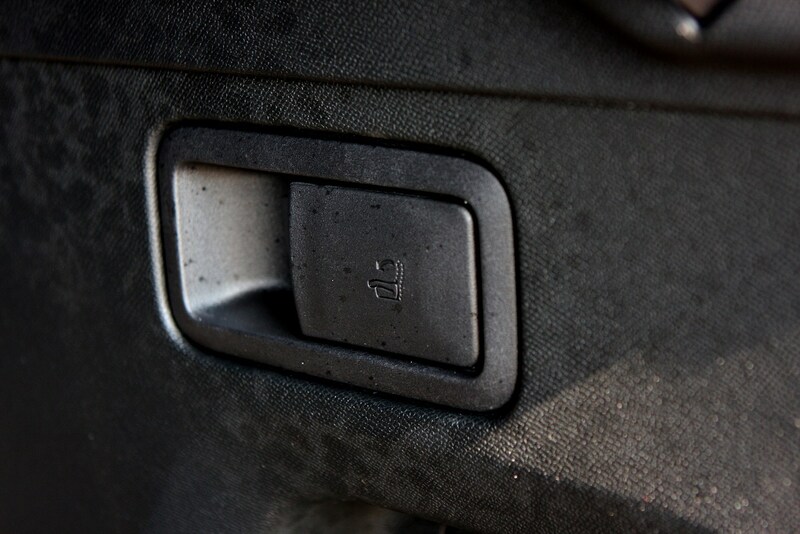 Safety technology available on the 3008 includes automatic emergency braking – activated when the car senses a hazard ahead that the driver hasn’t responded to – and adaptive cruise control, which maintains a safe distance behind the car in front, even if it slows down or speeds up, and a speed limiter function. 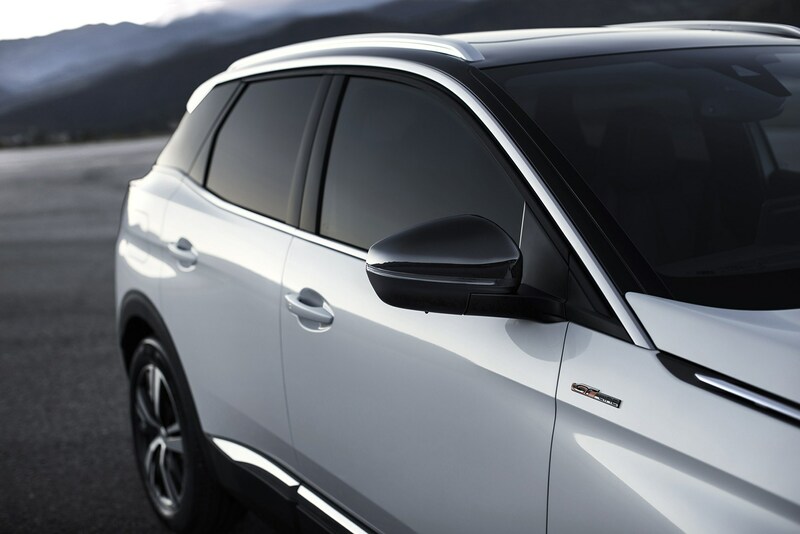 If the standard kit isn’t enough, you can venture into the options list. 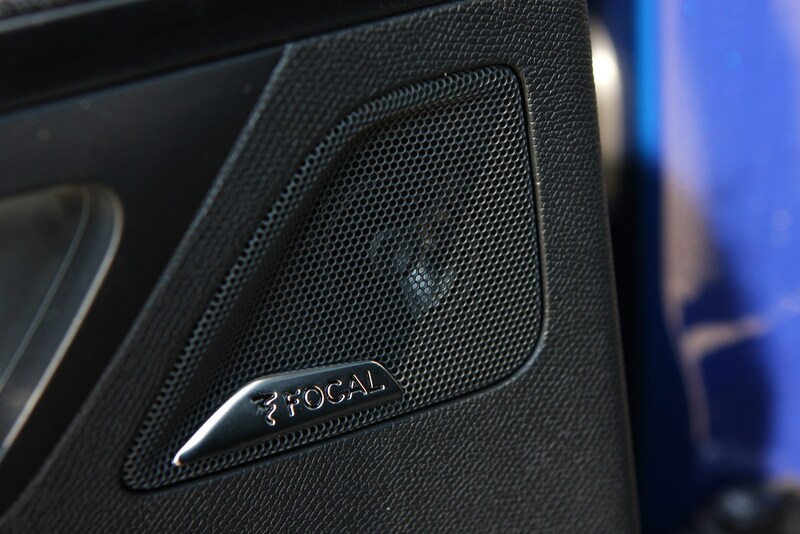 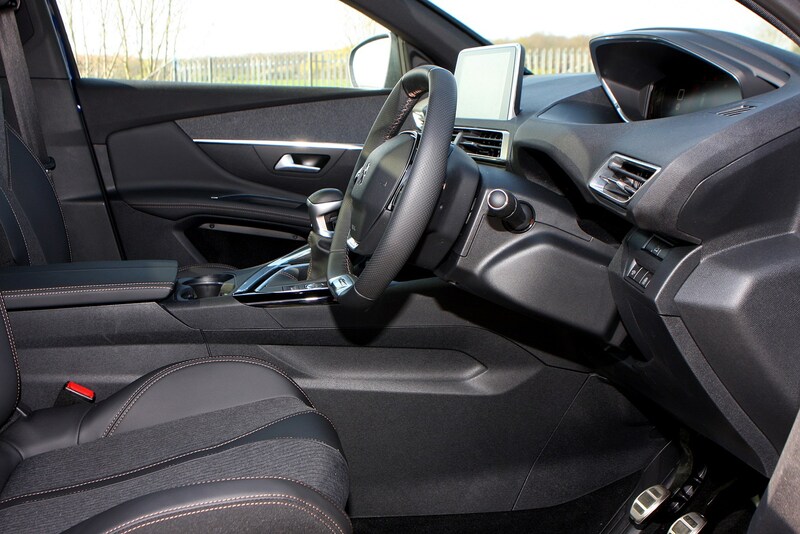 Here, you’ll find a 10-speaker 515-watt Focal sound system, a 360-degree Visiopark system which helps you see all around the vehicle when parking, and Grip Control, which includes 18-inch alloy wheels with mud and snow tyres and five different modes for maximum traction in tricky driving conditions. 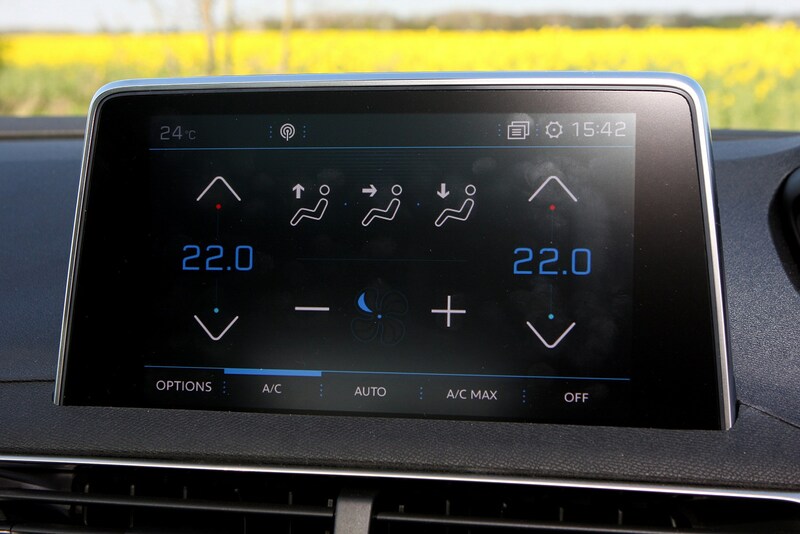 This system optimises the car for driving in Normal, Snow, Mud and Sand conditions, with a final setting turning the stability control system off altogether. 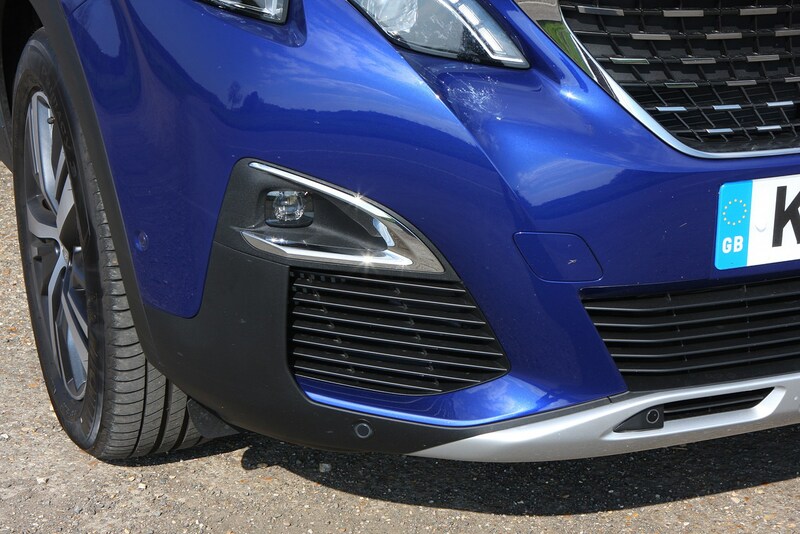 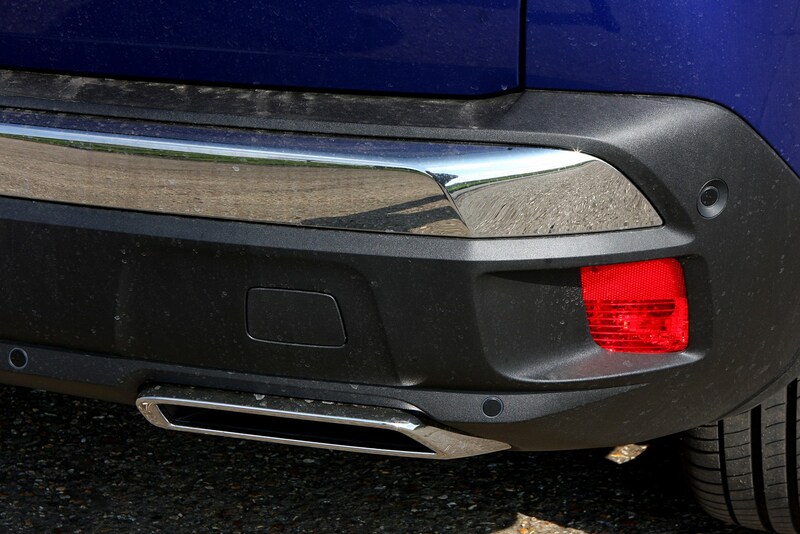 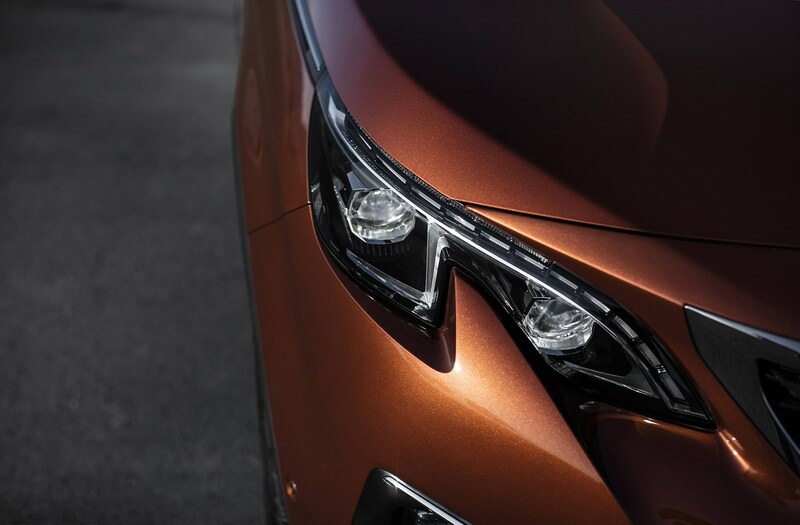 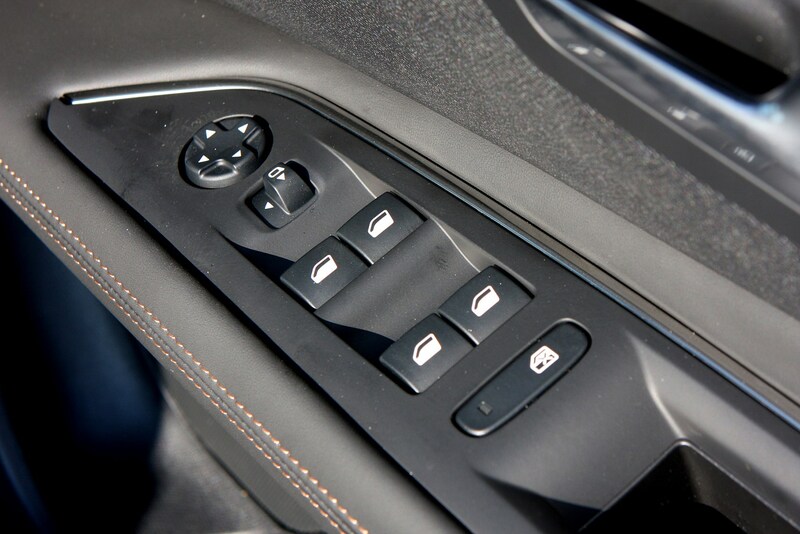 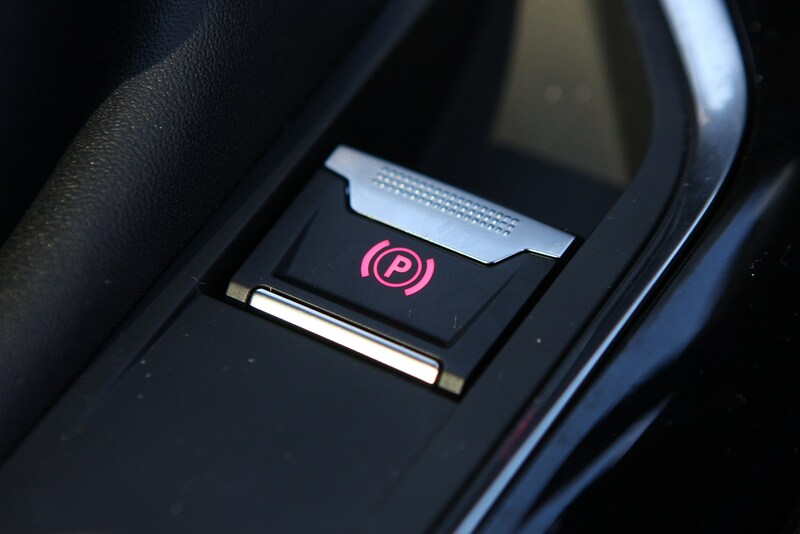 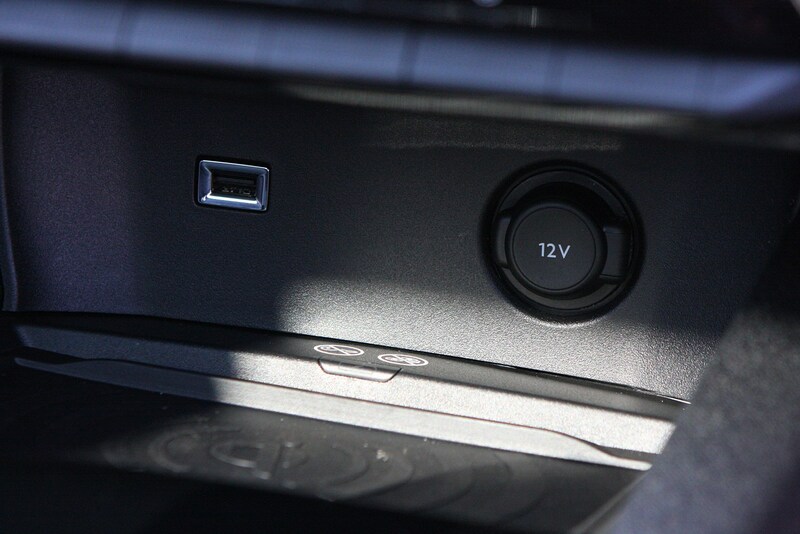 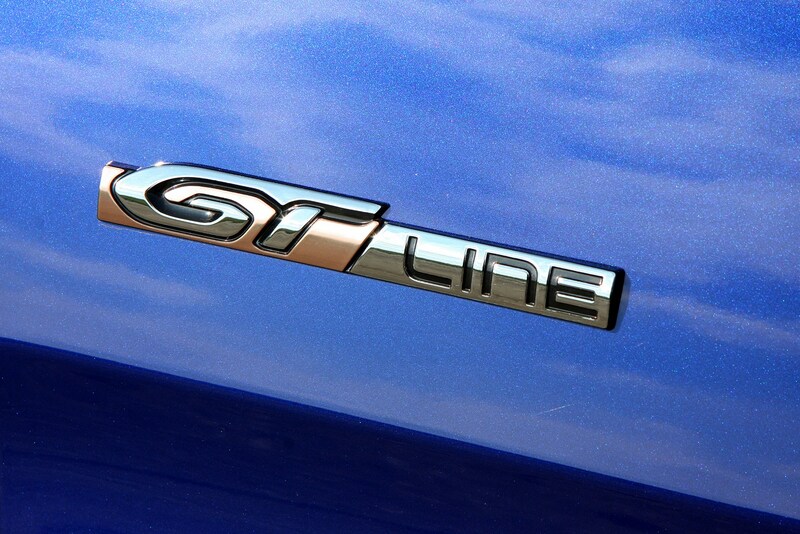 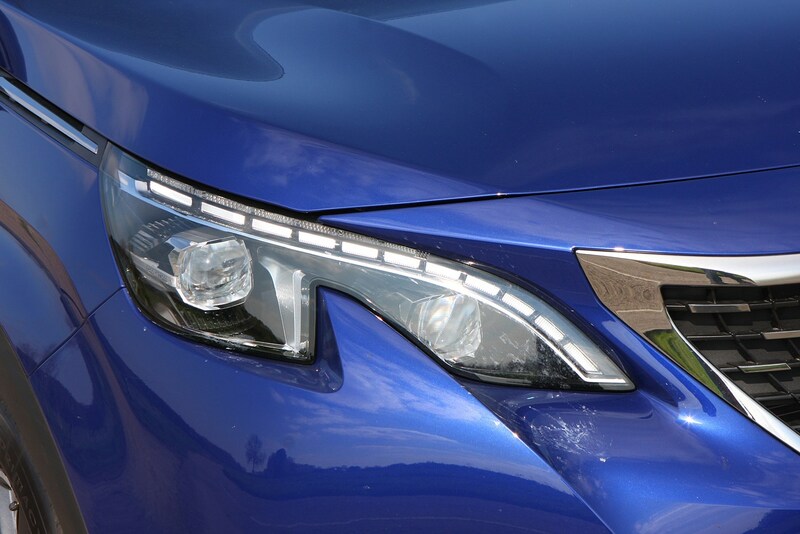 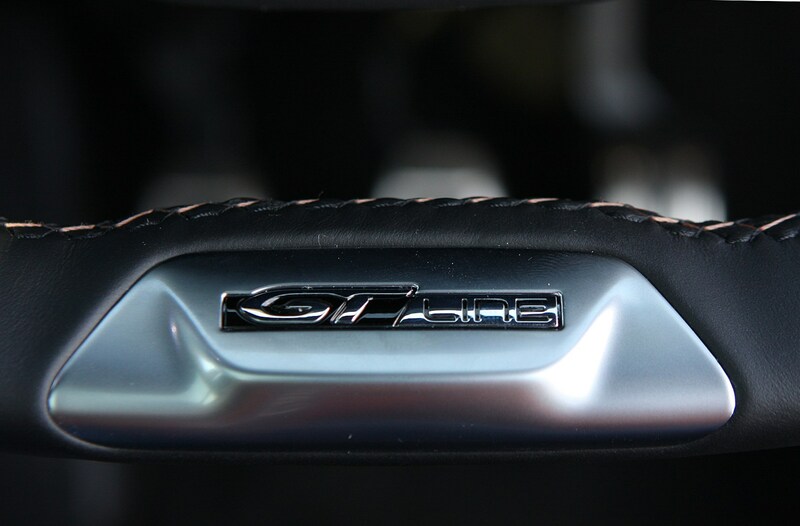 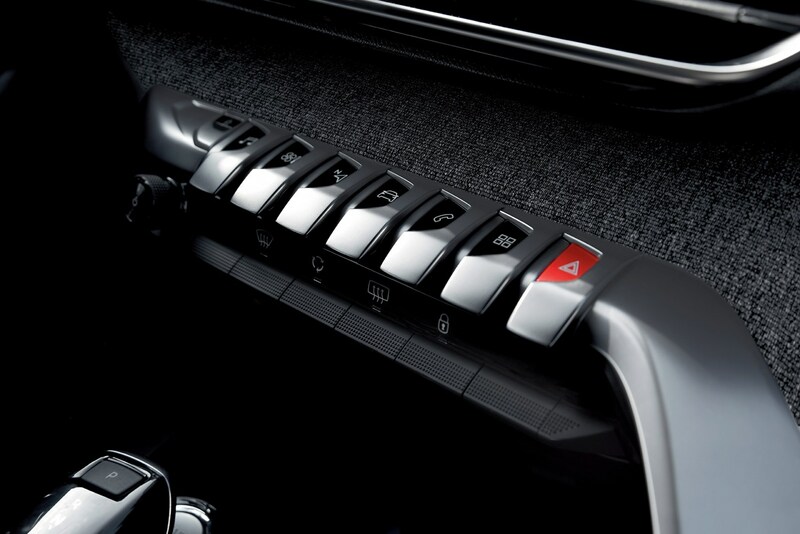 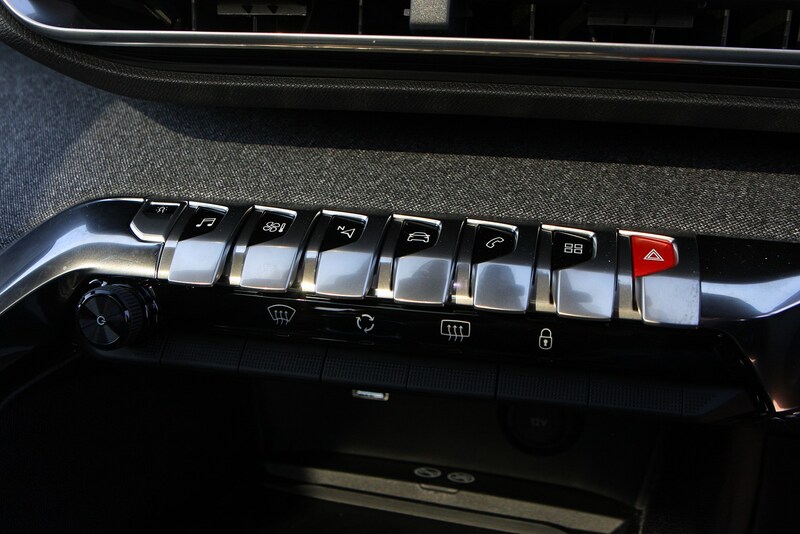 It also includes Hill Assist Descent Control, which helps the car to tackle steep downward stretches safely. 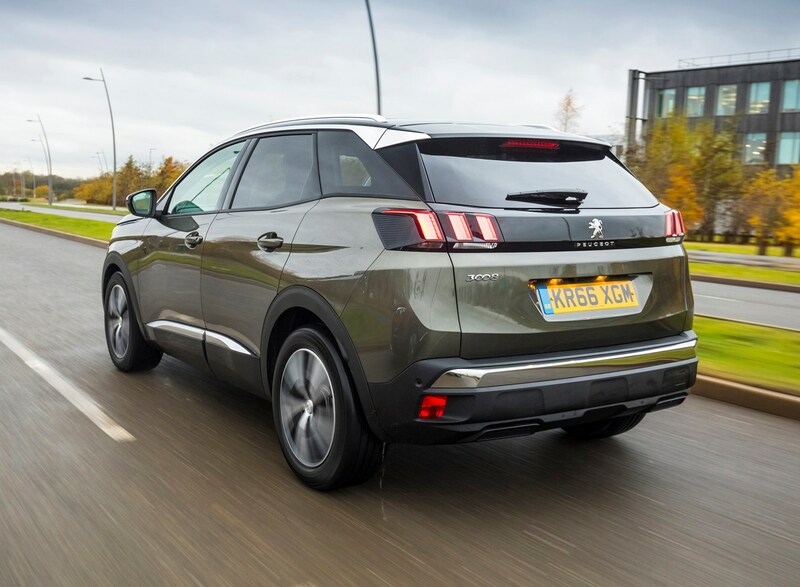 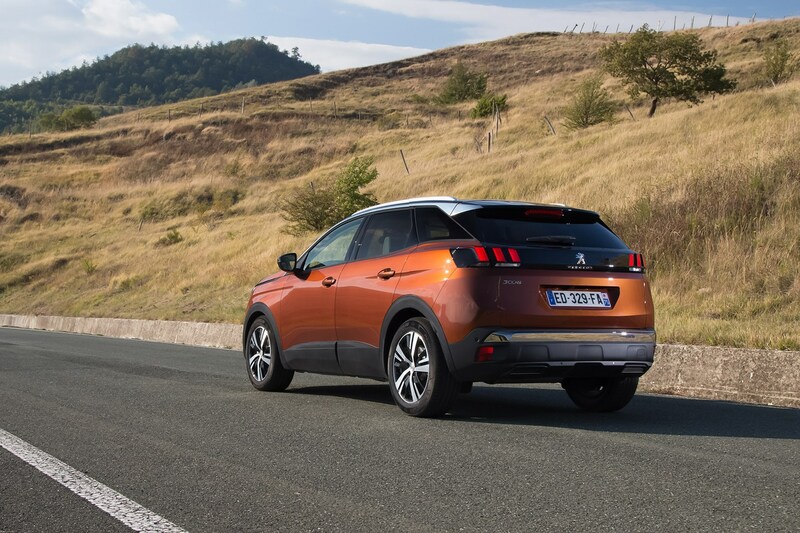 The 3008 scored a maximum rating of five stars when crash tested by Euro NCAP in 2016. 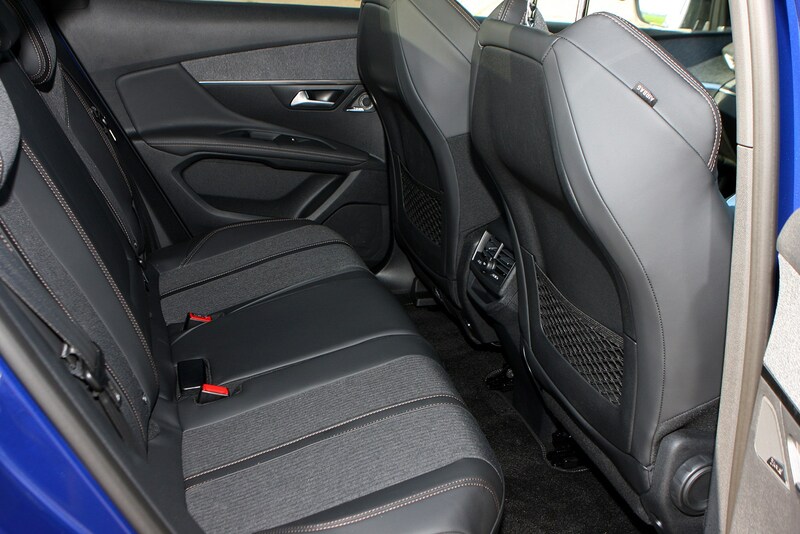 The car scored equally well for adults in the front seats and children in the back. 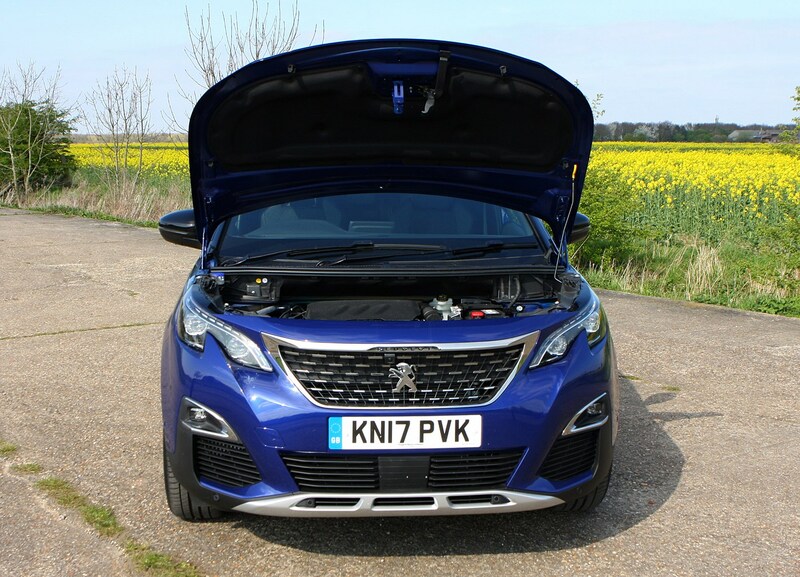 Pedestrian and automatic safety equipment didn’t quite match the best performing cars at the time, though a raft of kit is available including everything from lane keep assist to automatic emergency braking. 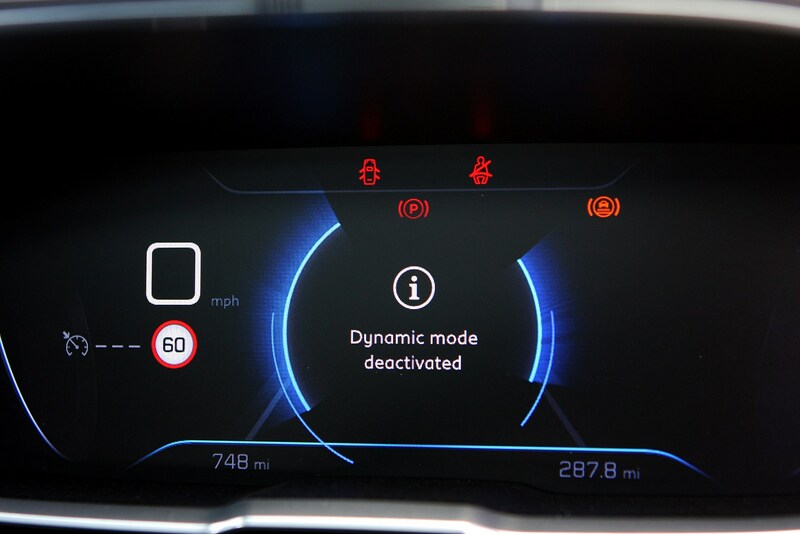 Most models feature an additional Safety Plus Pack which warns drivers to vehicles in their blind spots, keeps the car in its lane on multi-lane roads, driver attention assist – which gauges whether the driver is remaining alert – plus high beam assistance, which prevents drivers from dazzling oncoming traffic by switching between main and dipped beam automatically. 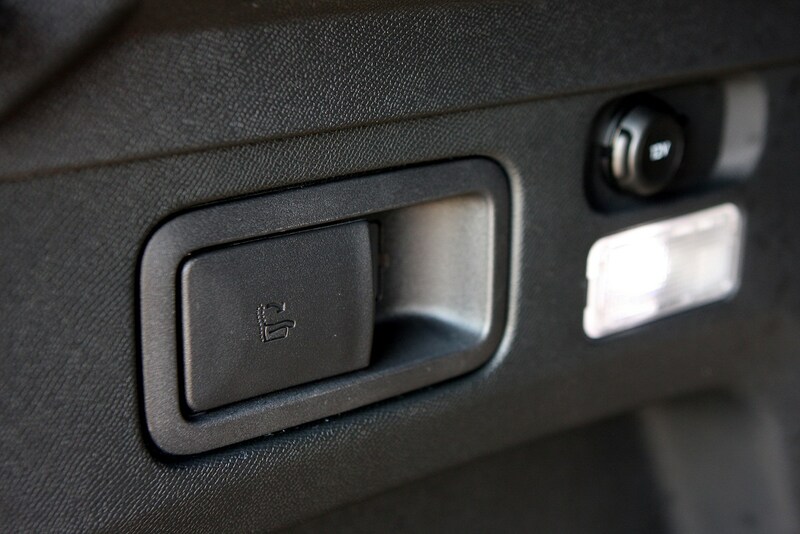 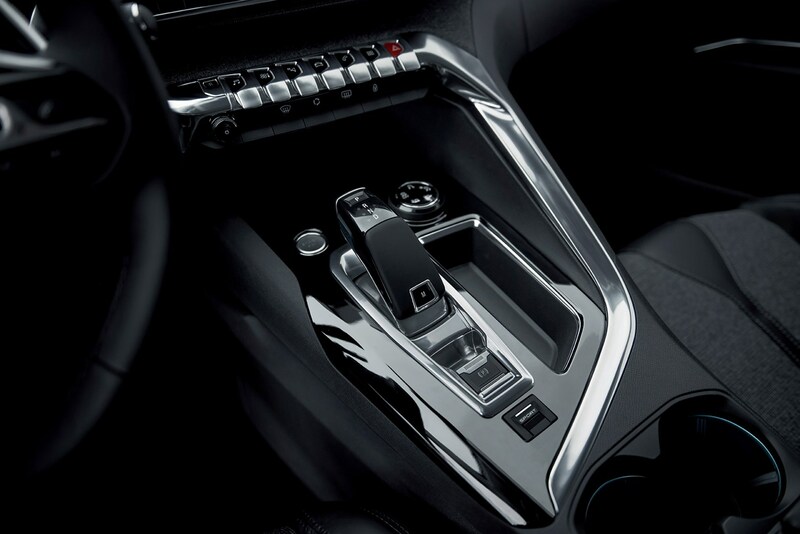 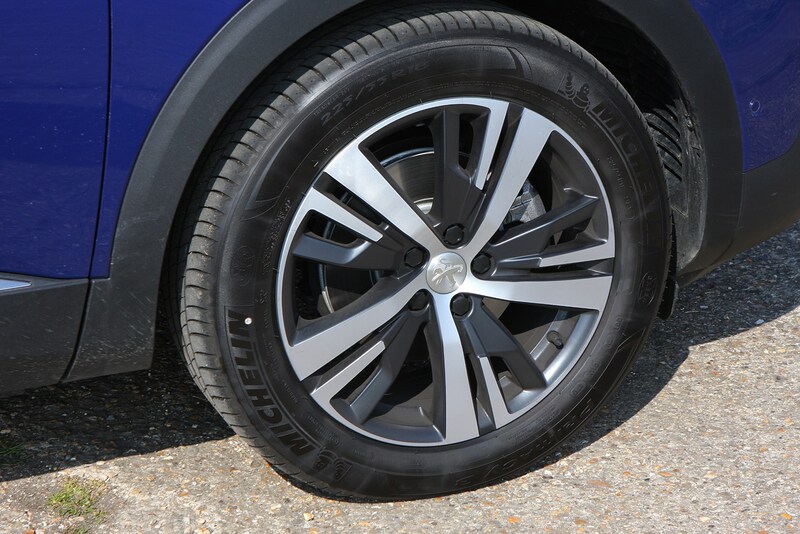 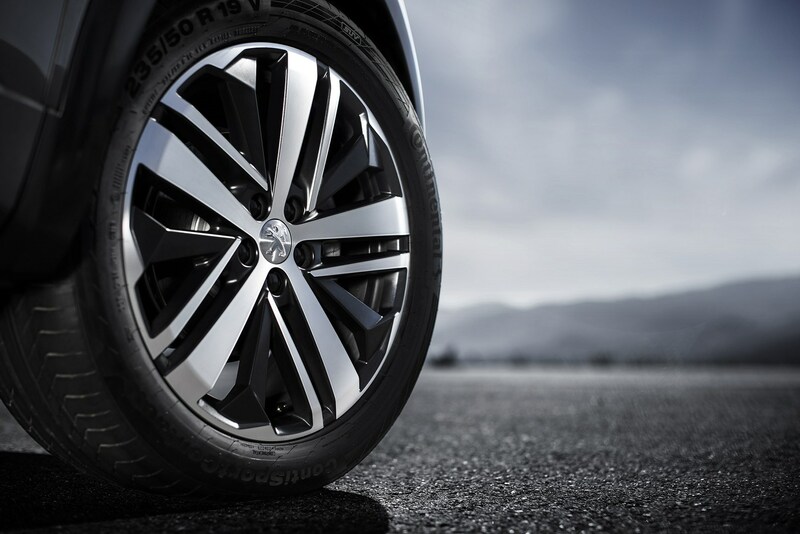 Optional Grip Control – which includes mud and snow tyres – offers greater safety for winter driving and dealing with muddy or cold and wet terrain. 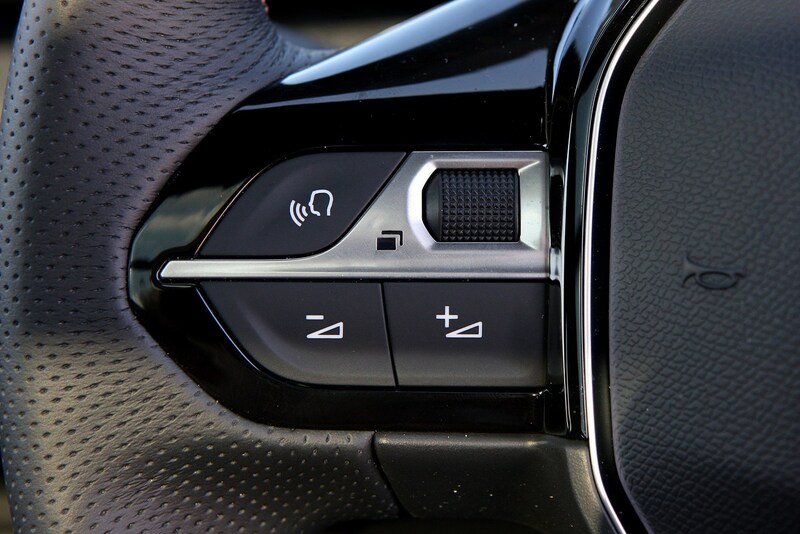 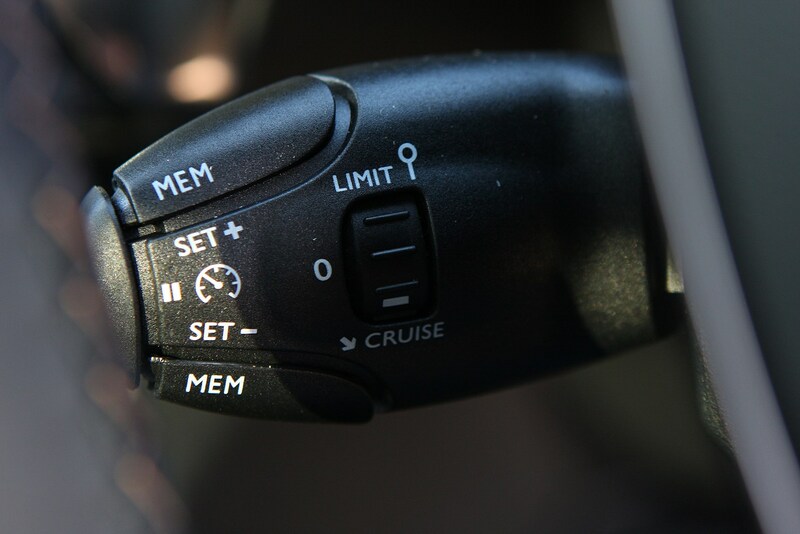 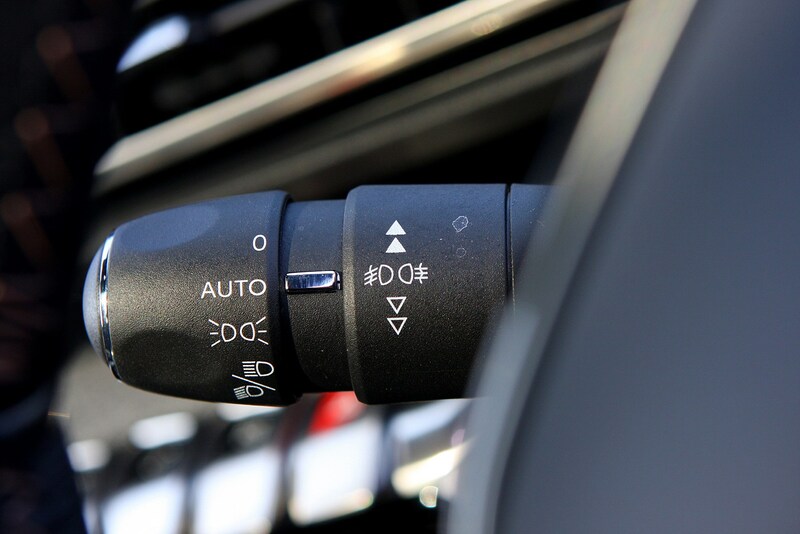 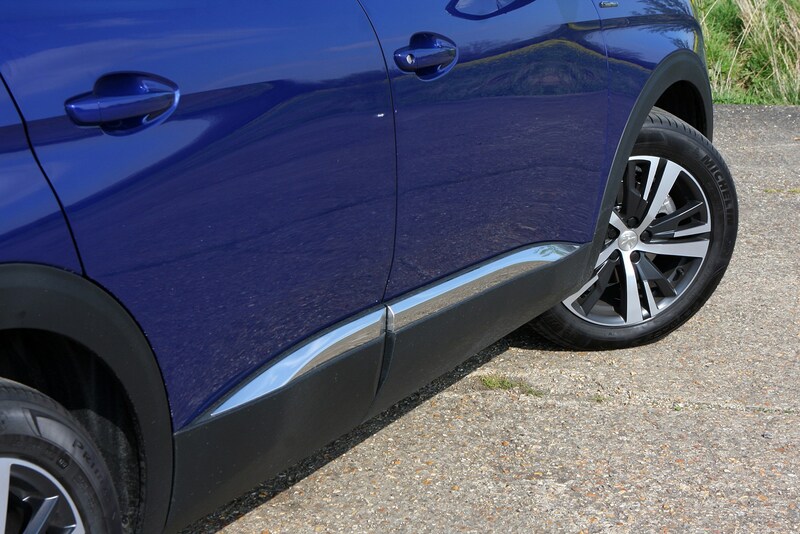 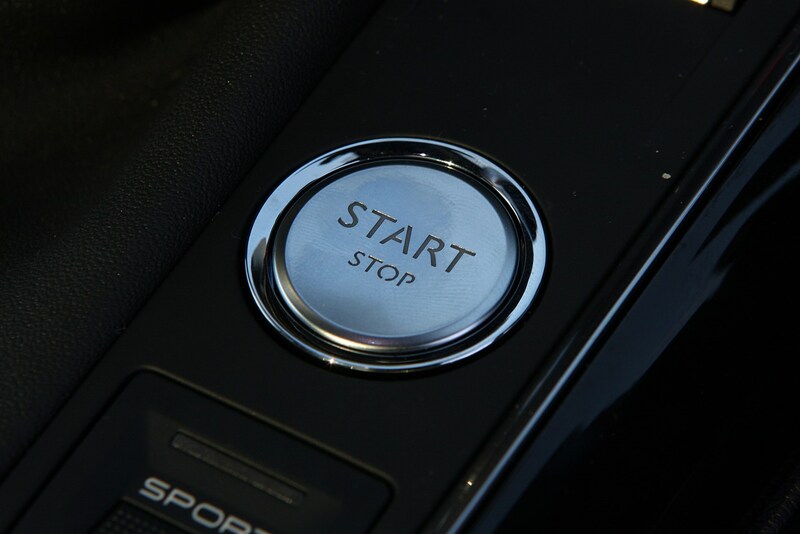 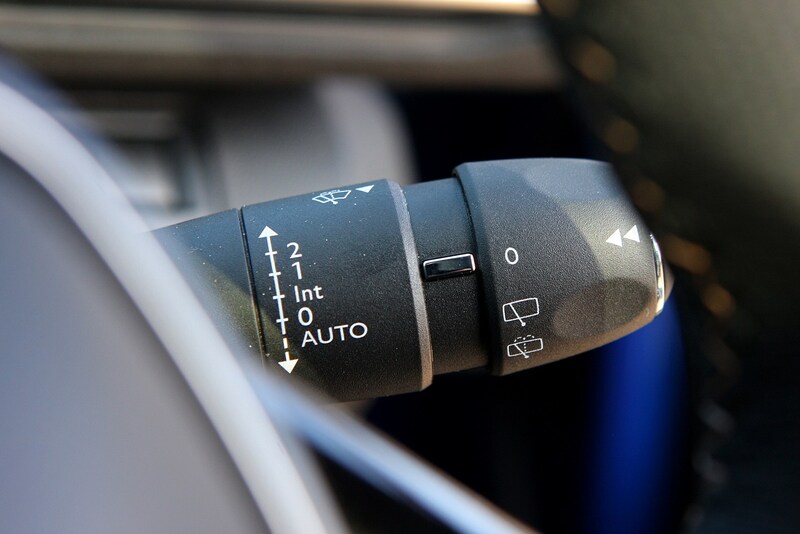 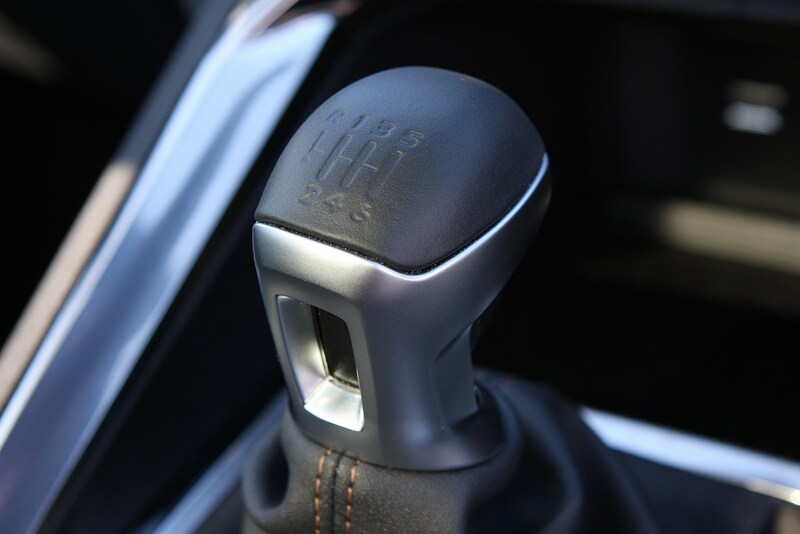 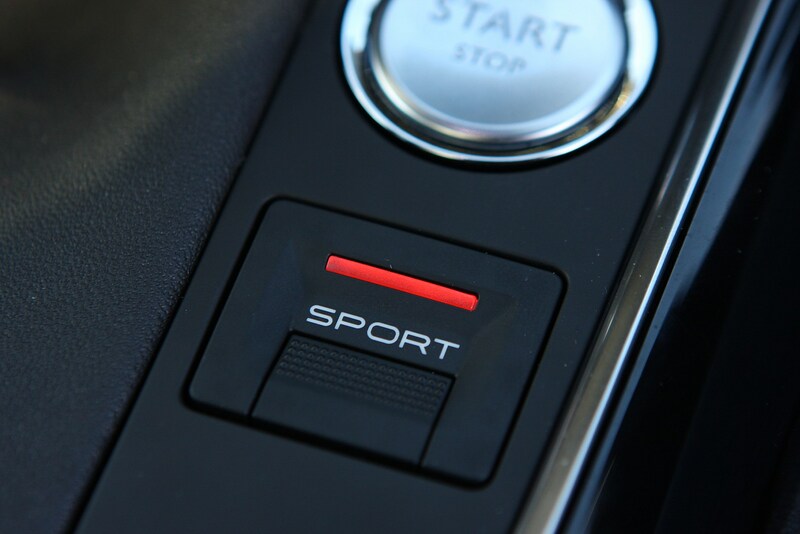 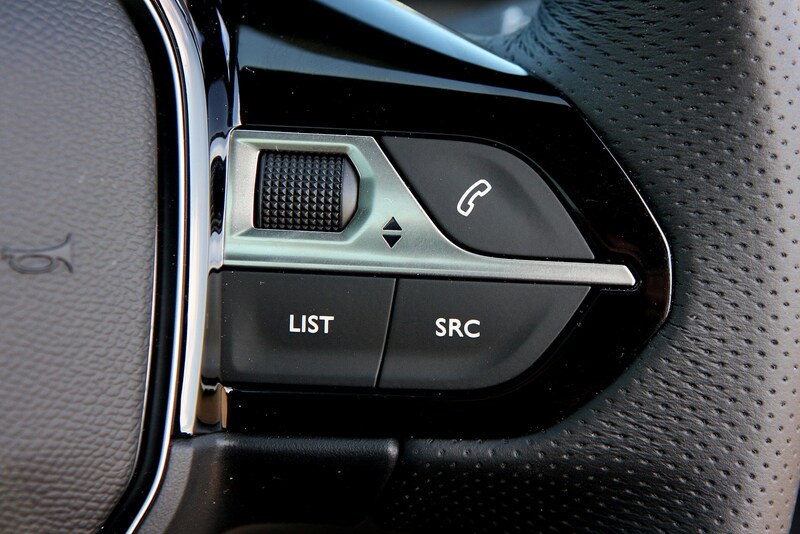 This traction control system helps to maximise the grip the car has, with different settings ensuring the greatest chance of keeping moving on the respective terrain. 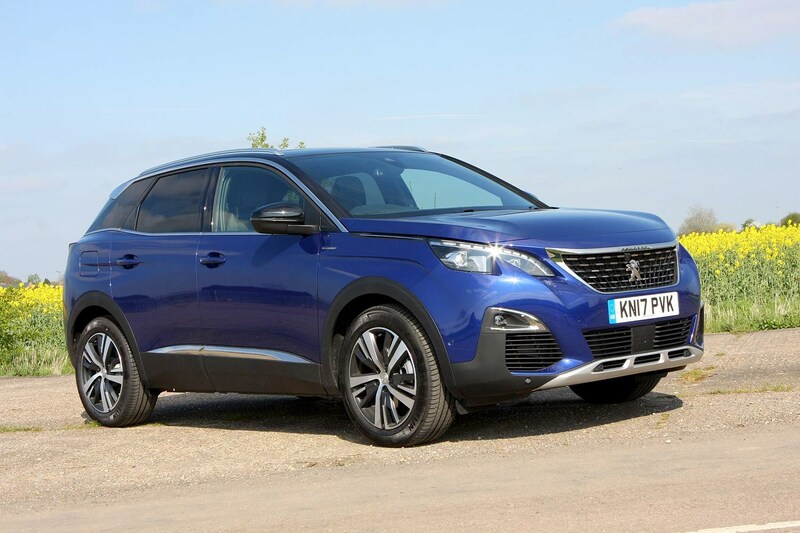 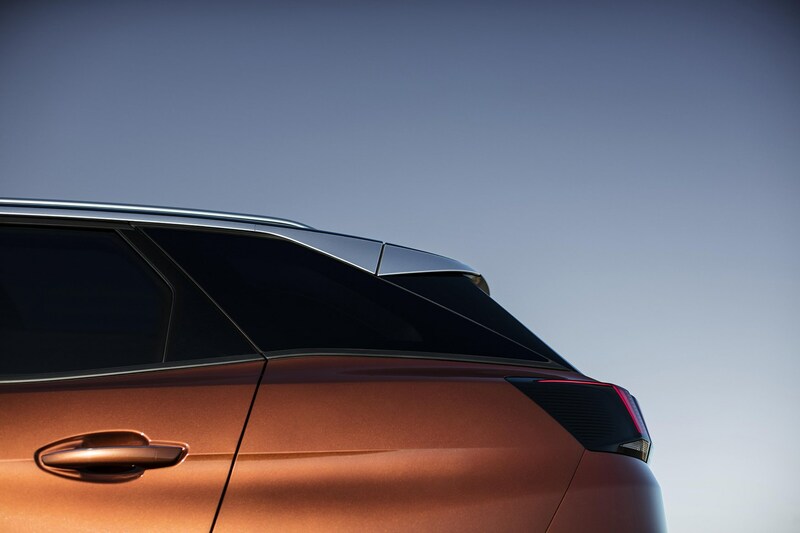 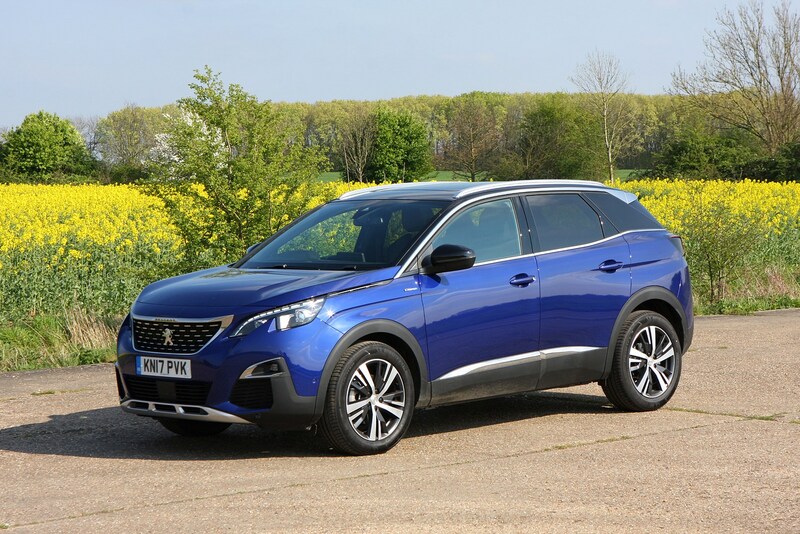 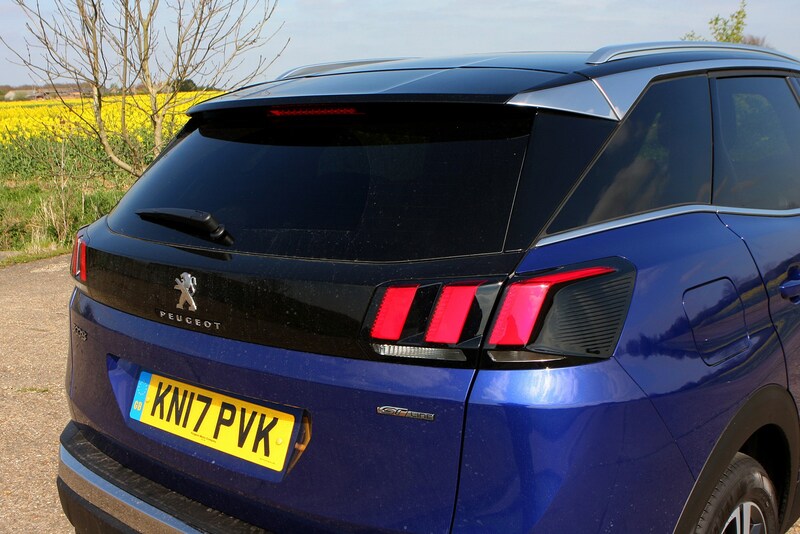 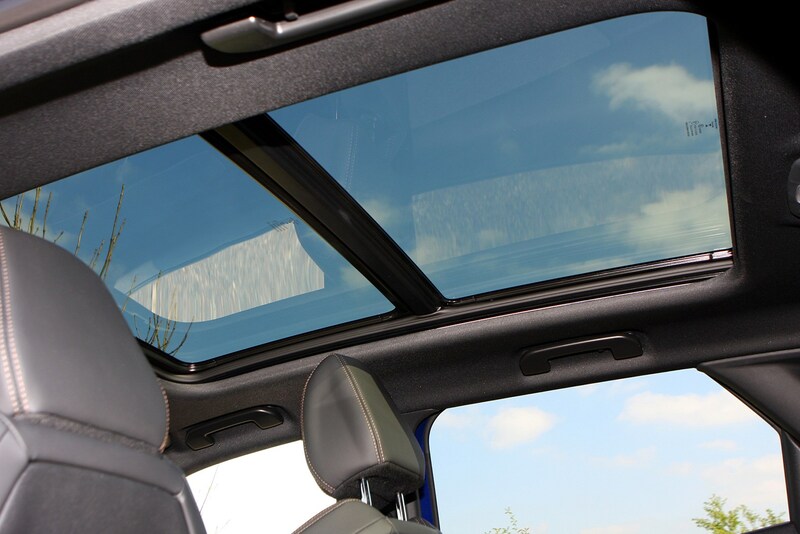 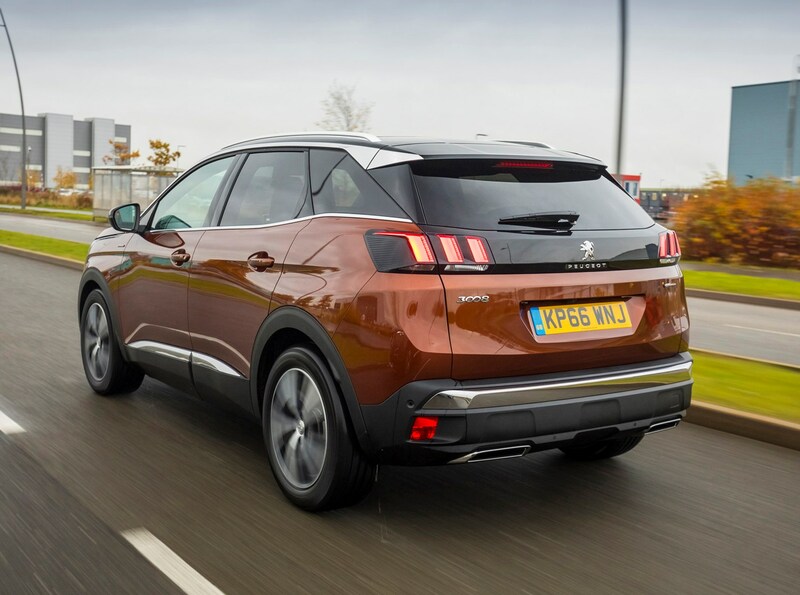 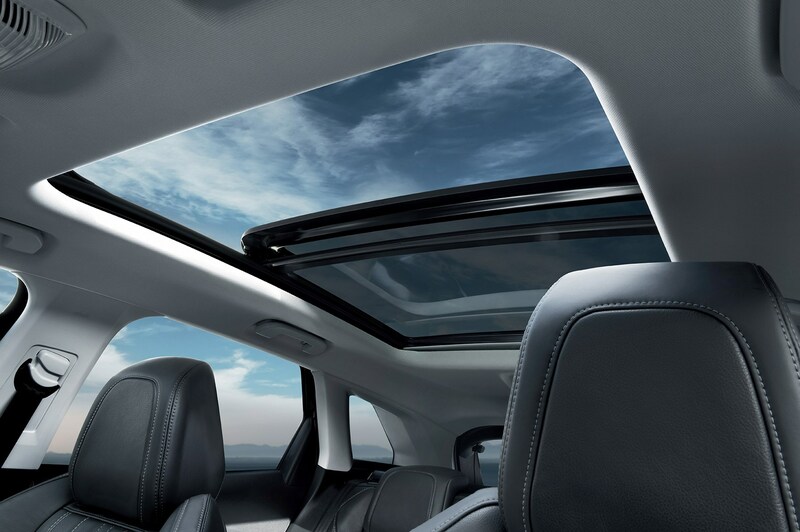 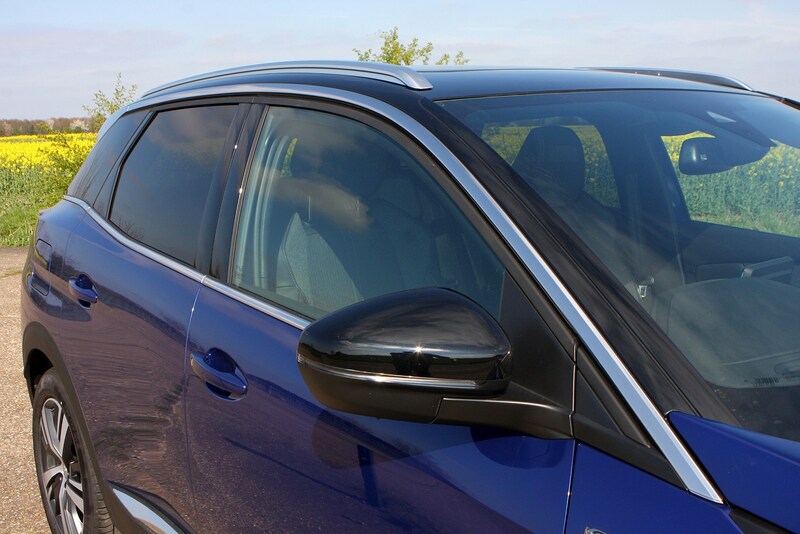 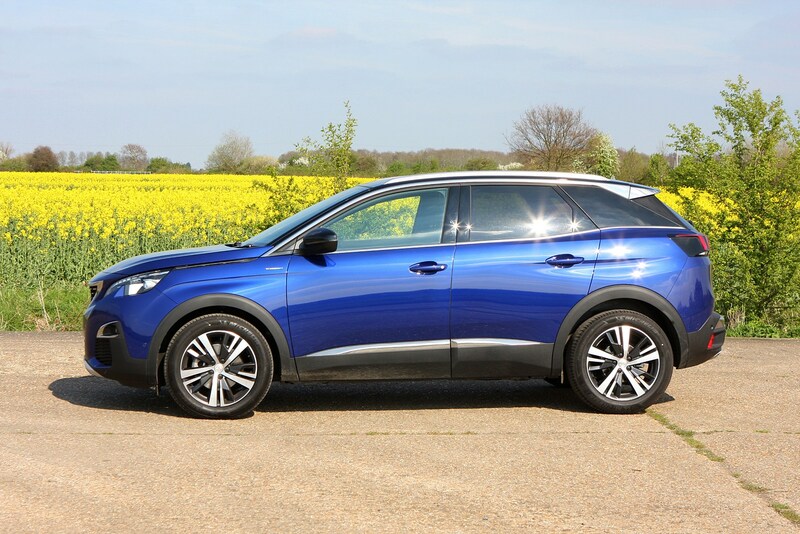 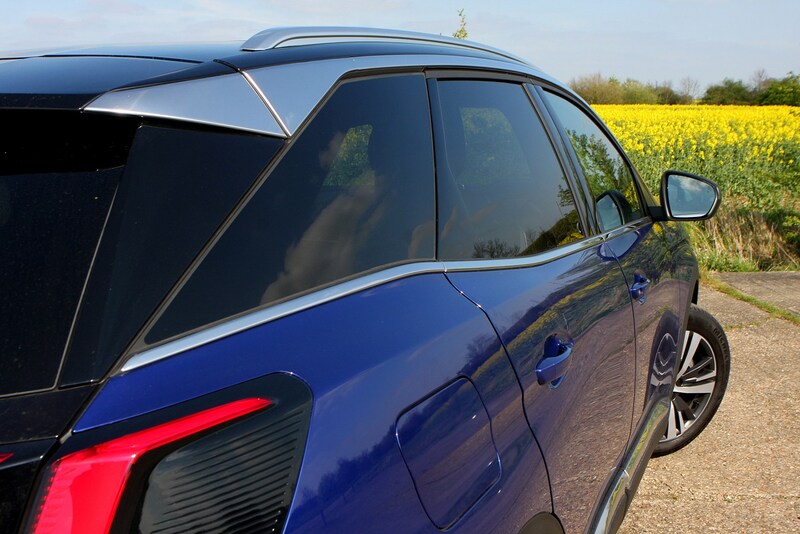 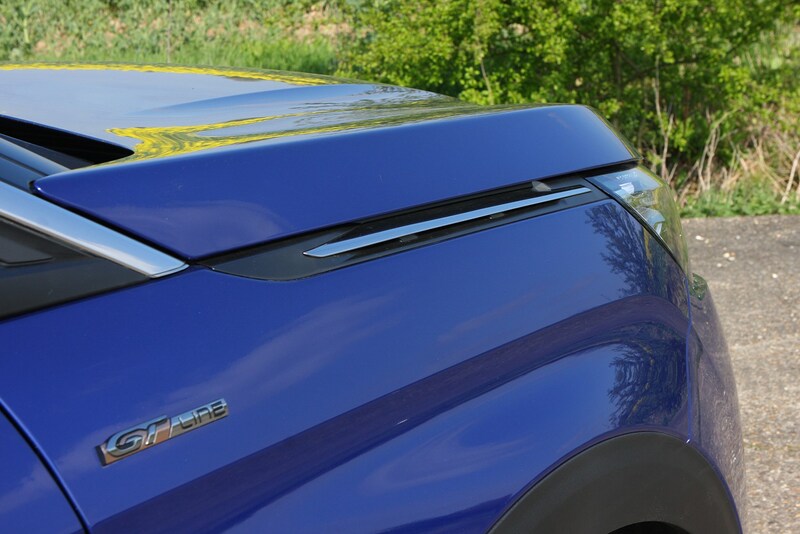 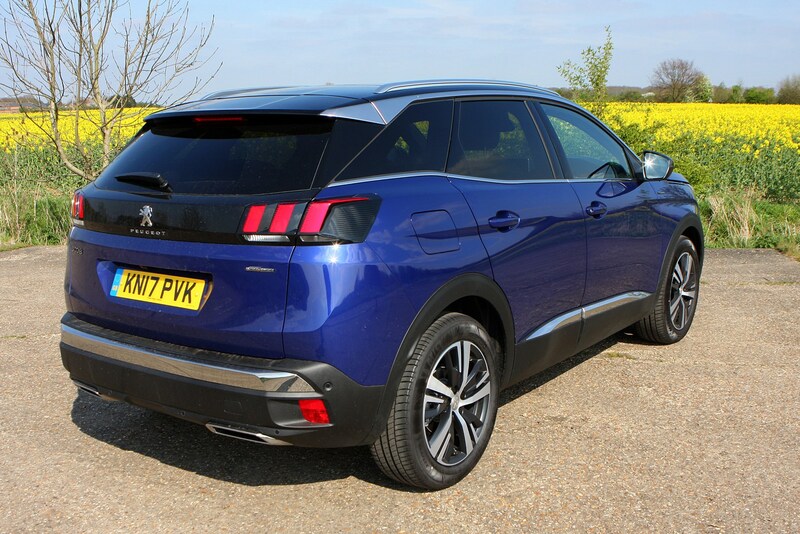 Bypass the head room-stealing glass roof and the 3008 is a practical family car. 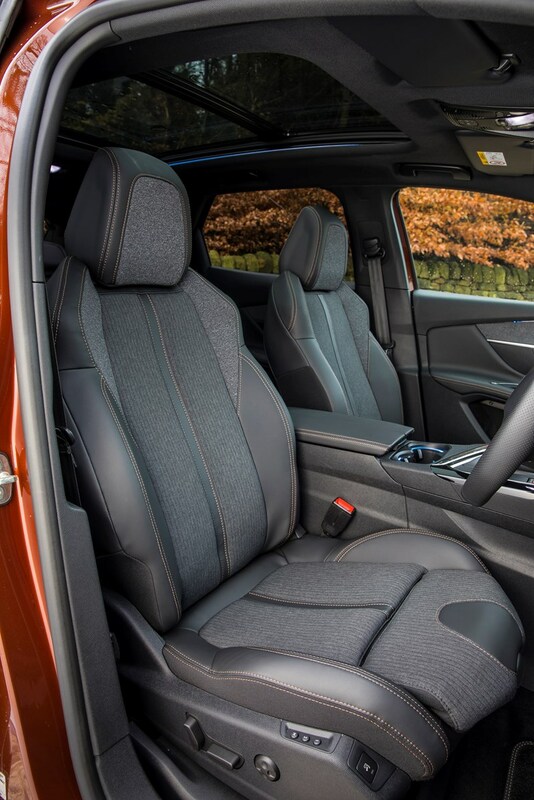 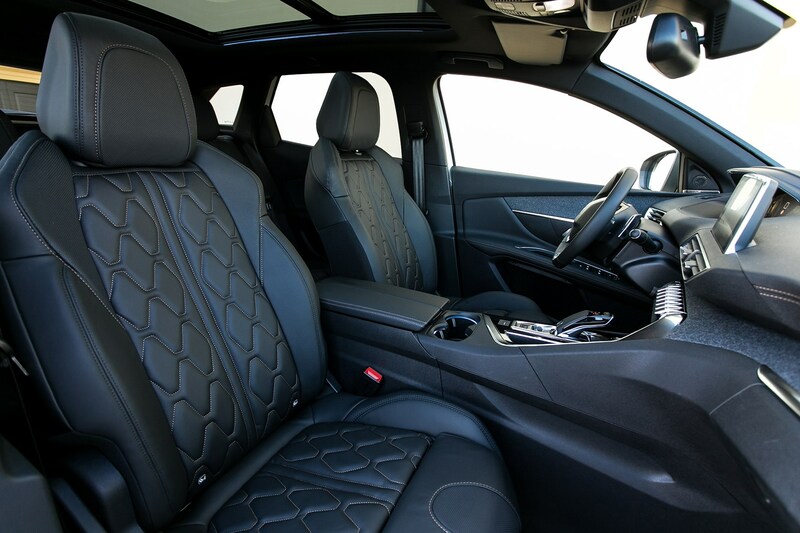 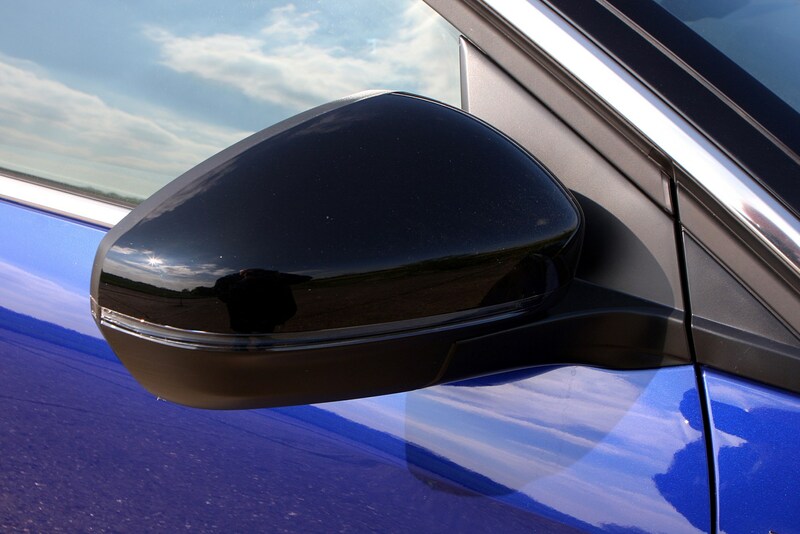 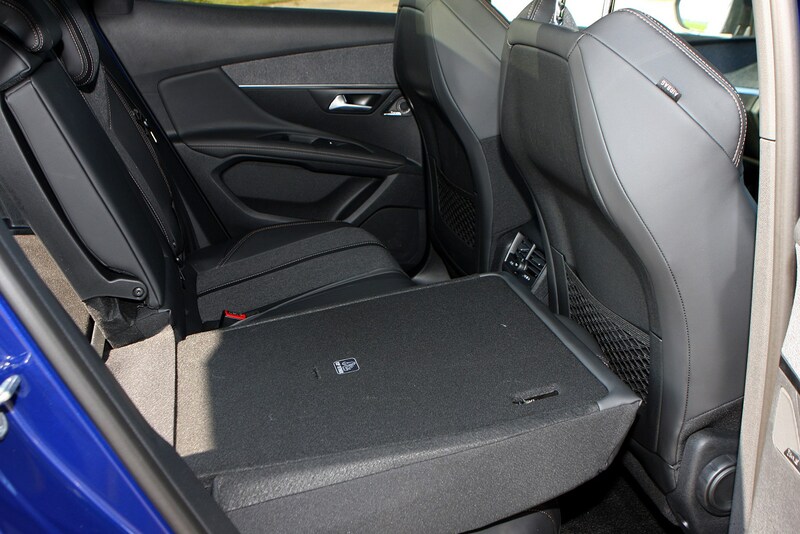 The front armrest is simply mammoth, practically swallowing the driver or front passenger’s entire arms should they need to salvage anything from the bottom. 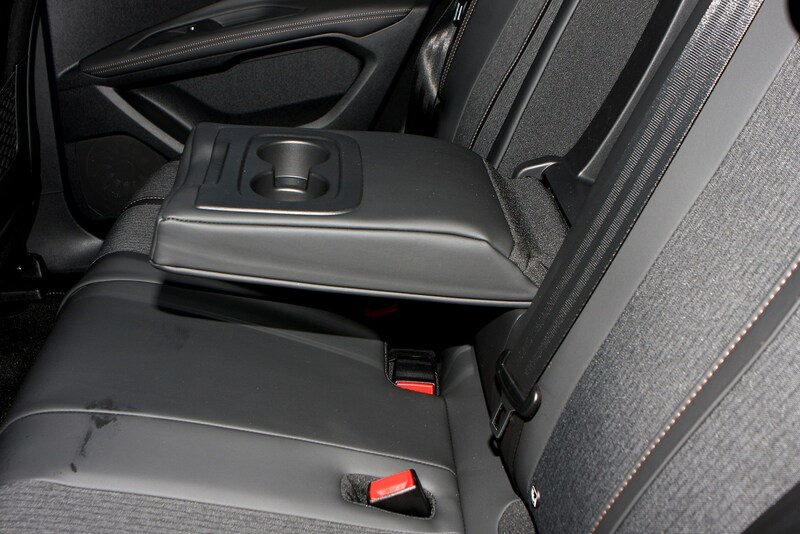 The armrest storage is accessed with two horizontally split parts, which open more easily on the move than a one-part lid hinged at the back. 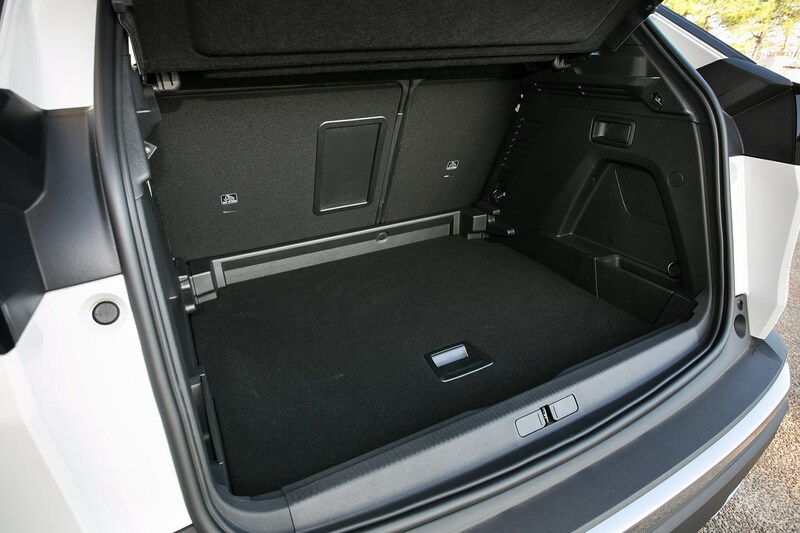 There are two cupholders positioned in front of this, plus usefully sized door bins. 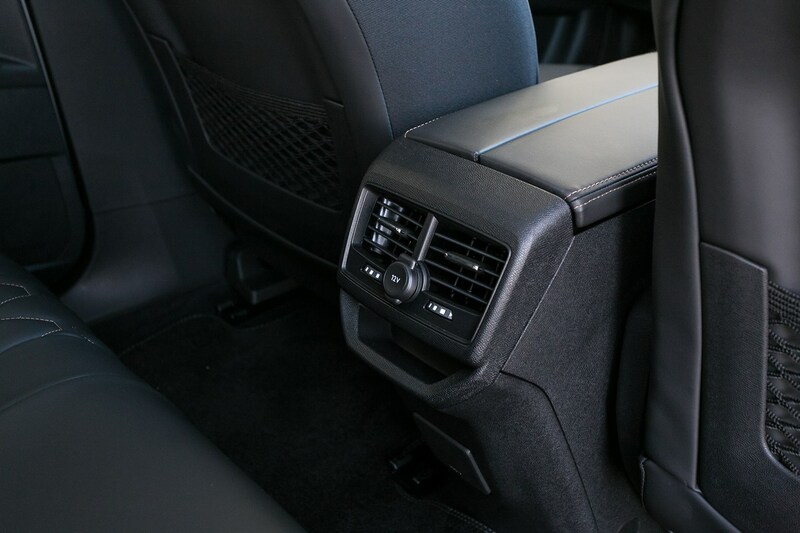 The glovebox is on the small side, however. 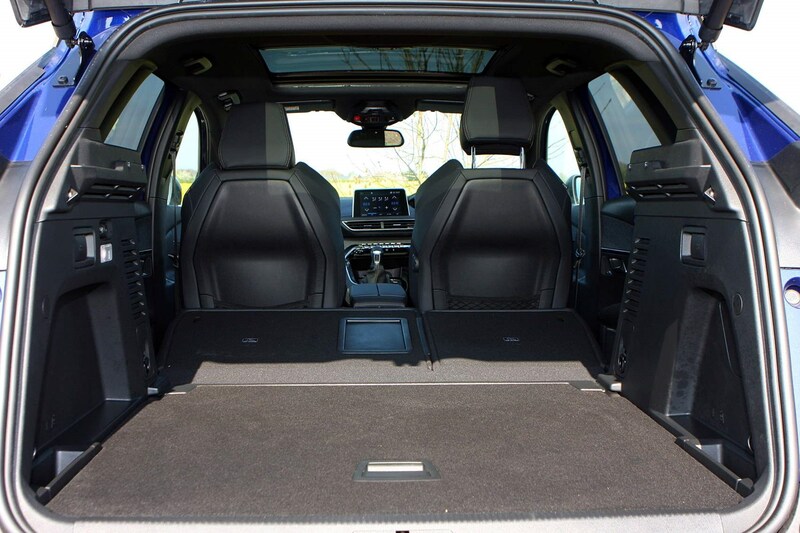 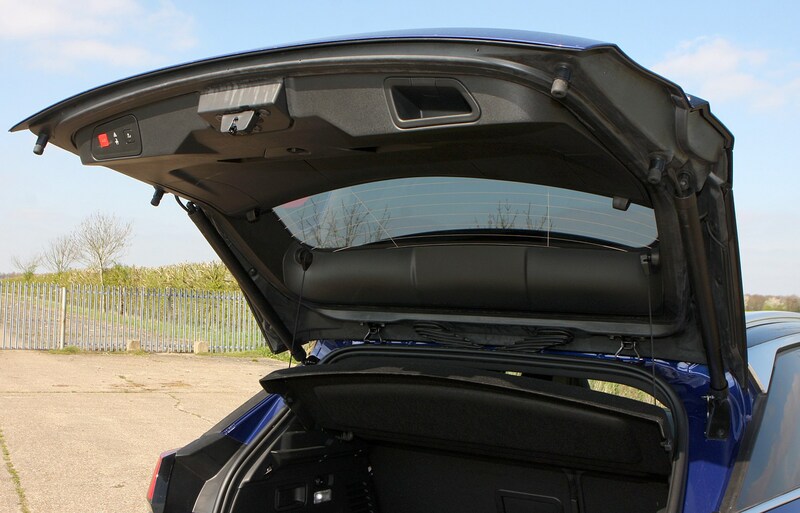 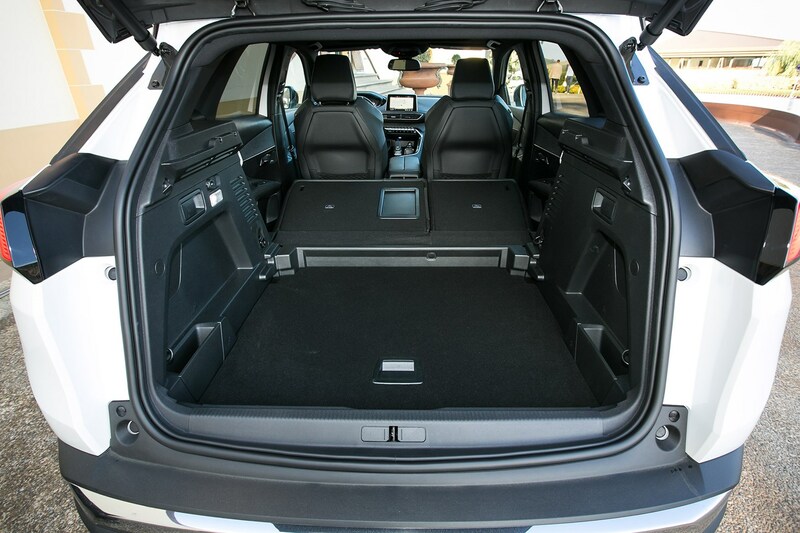 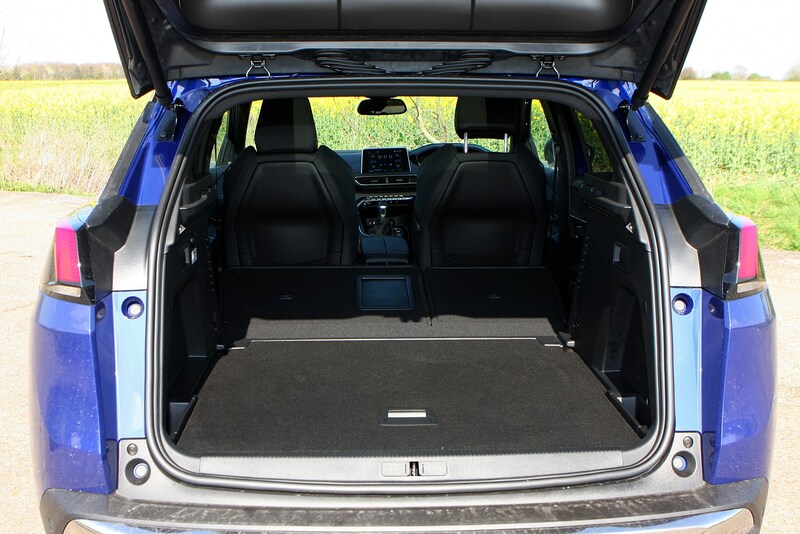 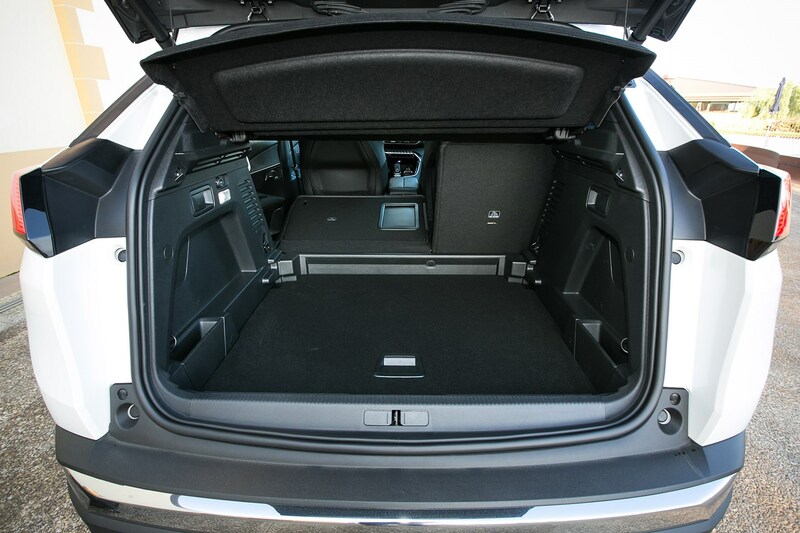 The boot is very large, meanwhile, with 520 or 591 litres of space available depending on the position of the boot floor, expanding to 1,580 litres if you drop the rear seats; much larger than the Nissan Qashqai. 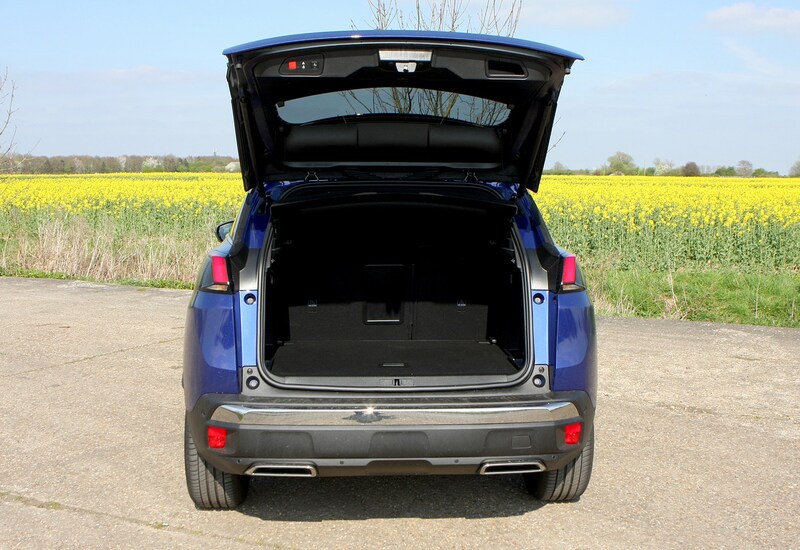 The flat rear floor makes this a viable five-seater, with space for an adult middle-rear passenger. 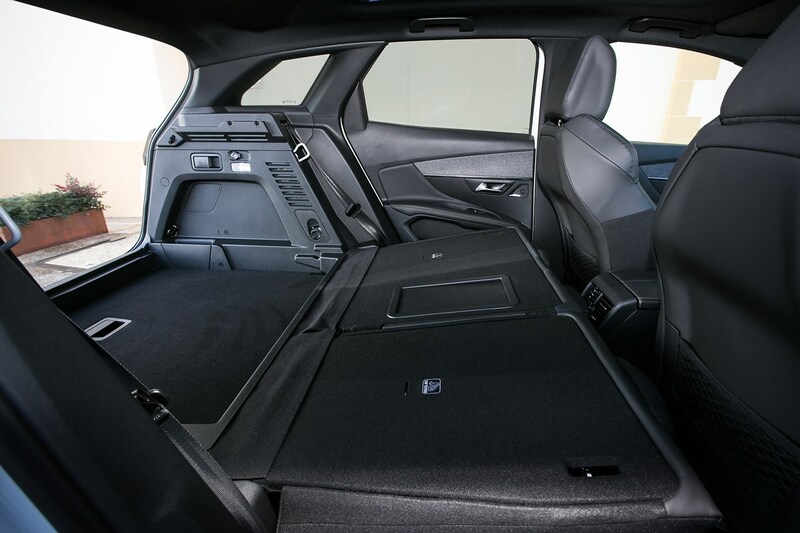 The front passenger seat can be folded flat – meaning you can load items of up to 3m long, while the boot has an adjustable floor with removable side panels for added practicality. 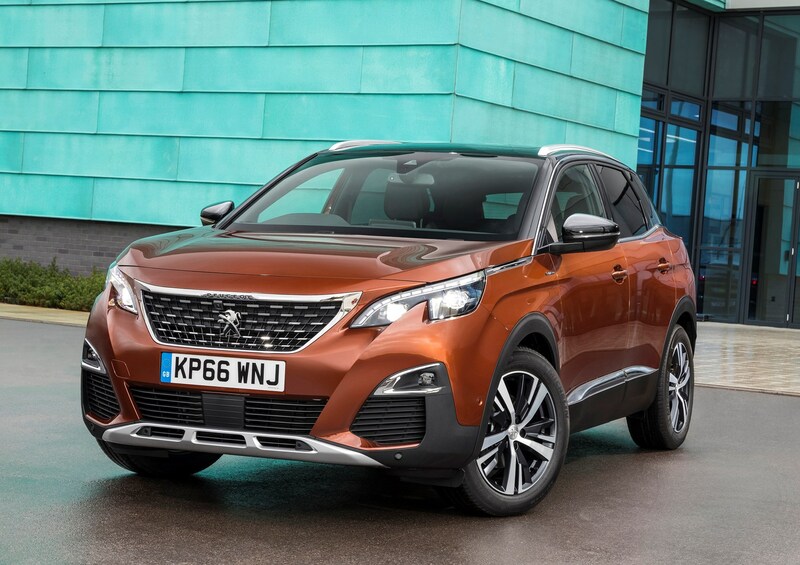 The size of the 3008 is average for the crossover class. 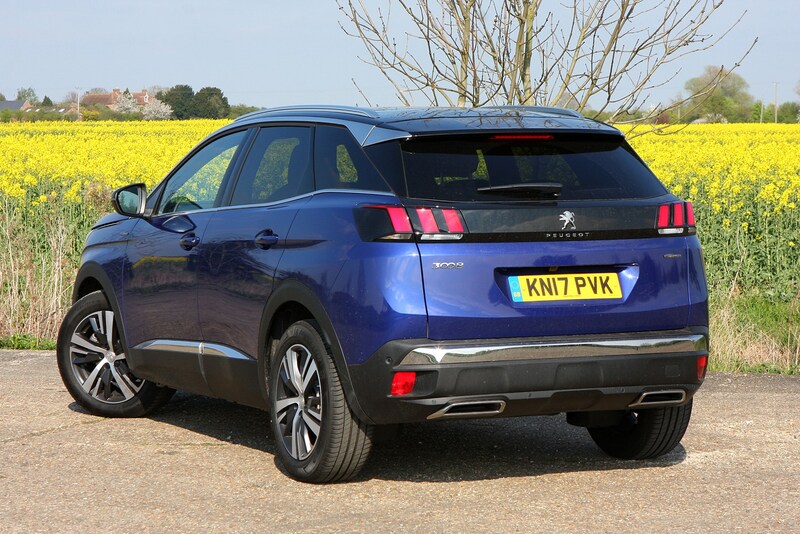 It’s larger than the Nissan Qashqai but it’s on a par with the likes of the SEAT Ateca, VW Tiguan and Kia Sportage. 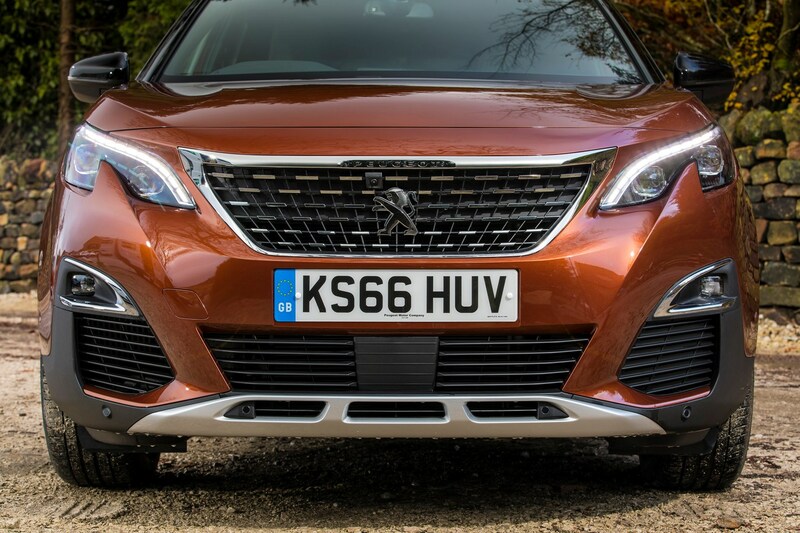 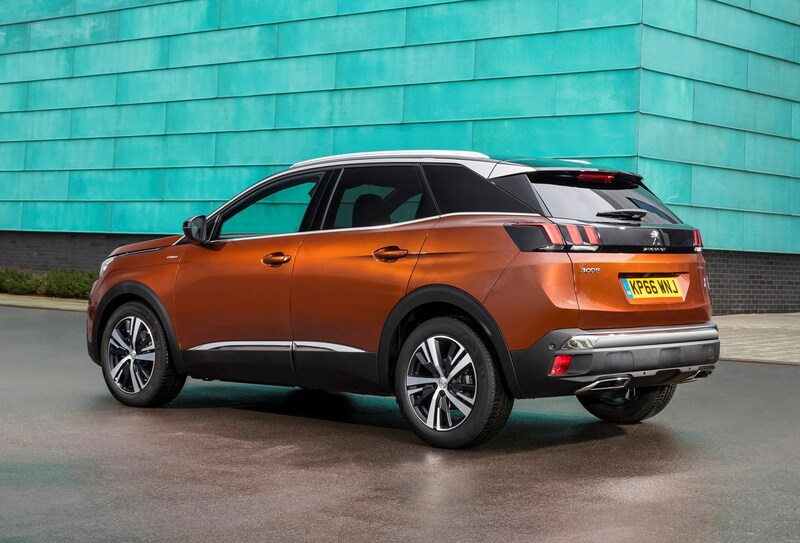 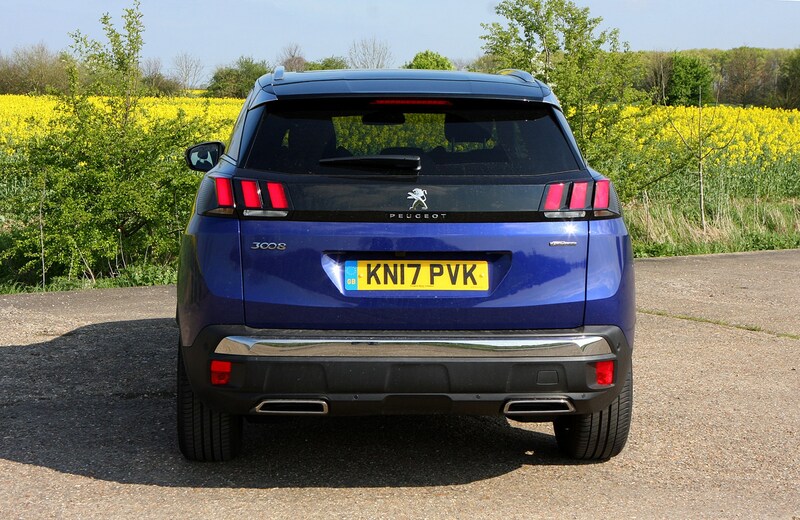 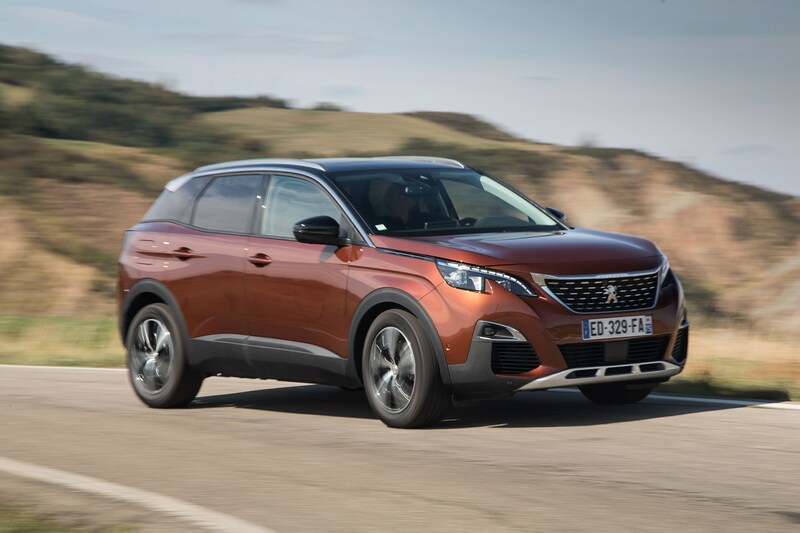 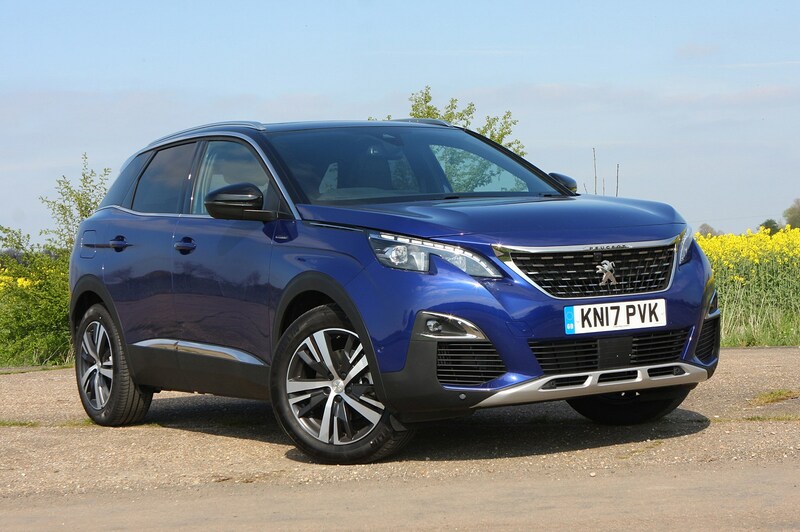 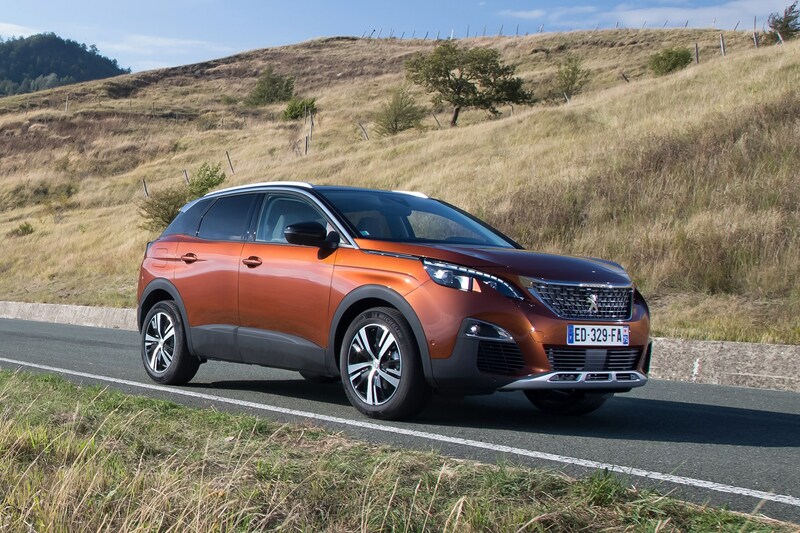 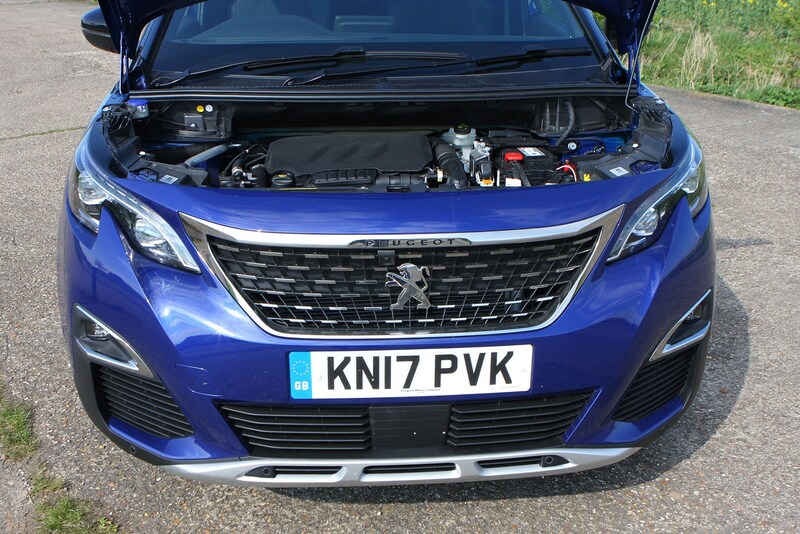 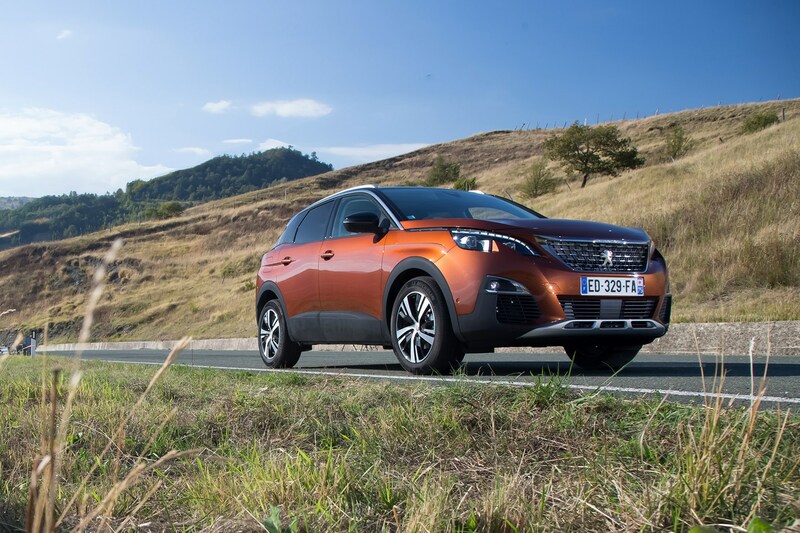 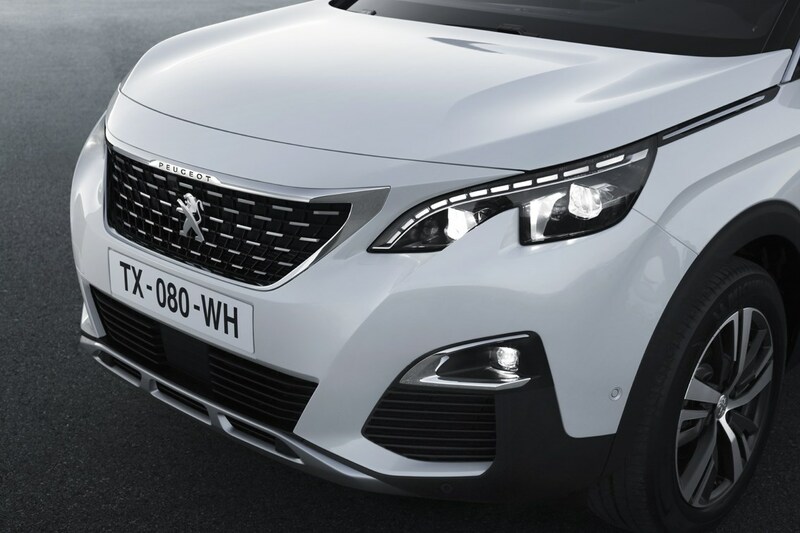 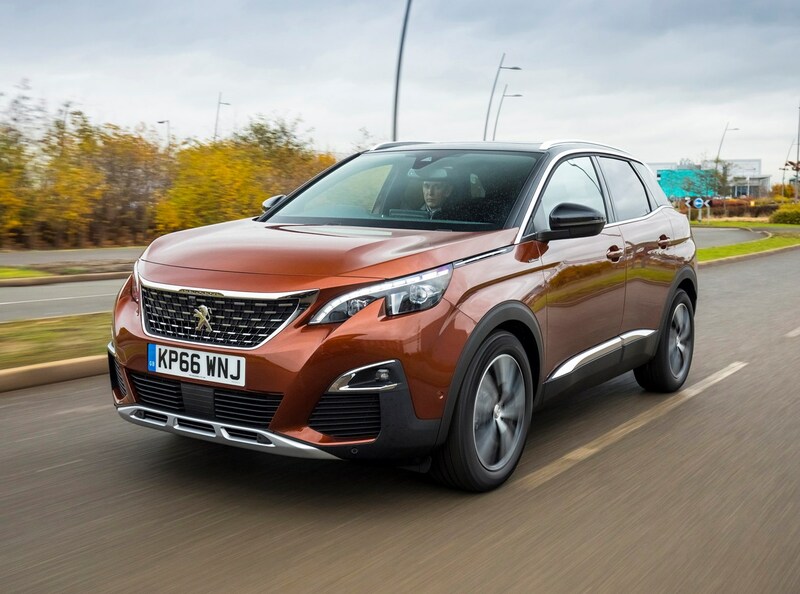 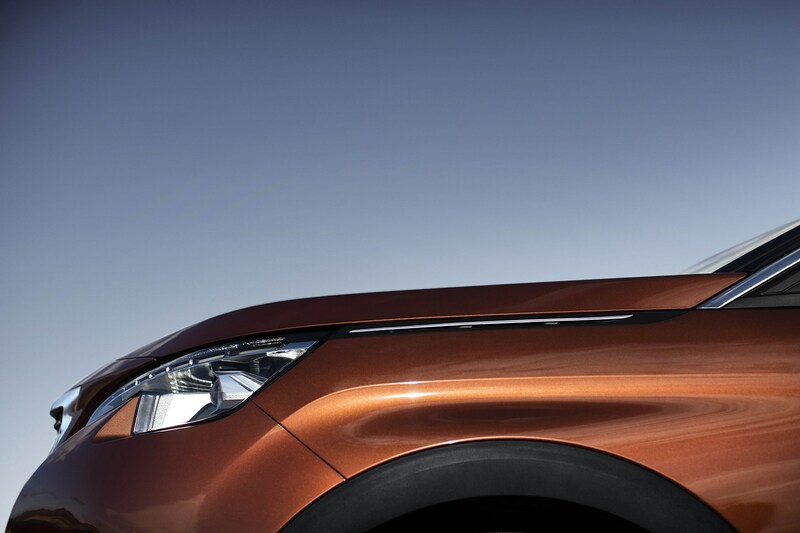 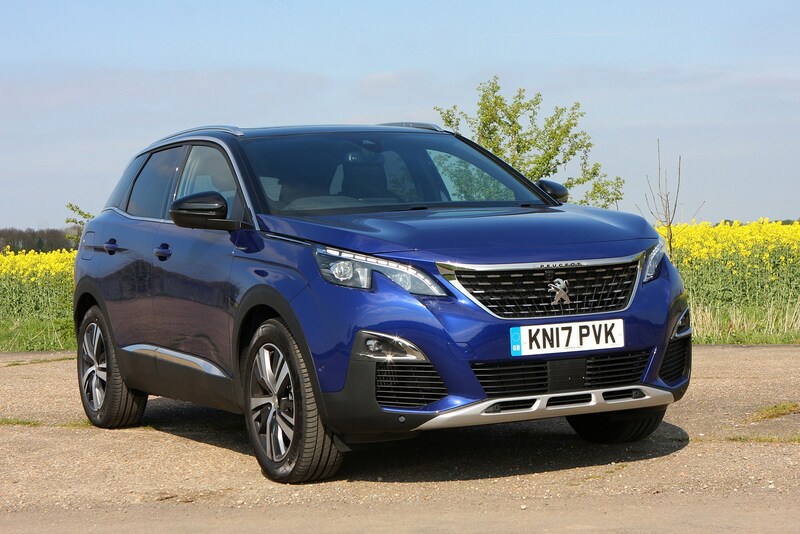 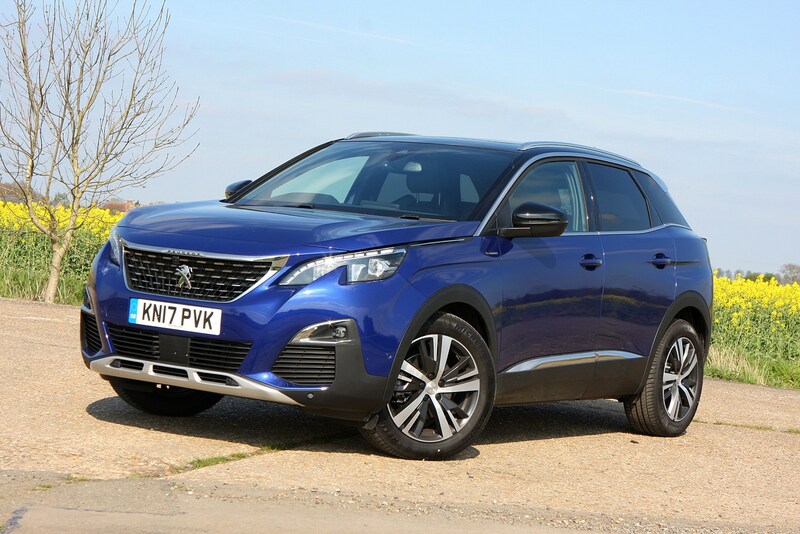 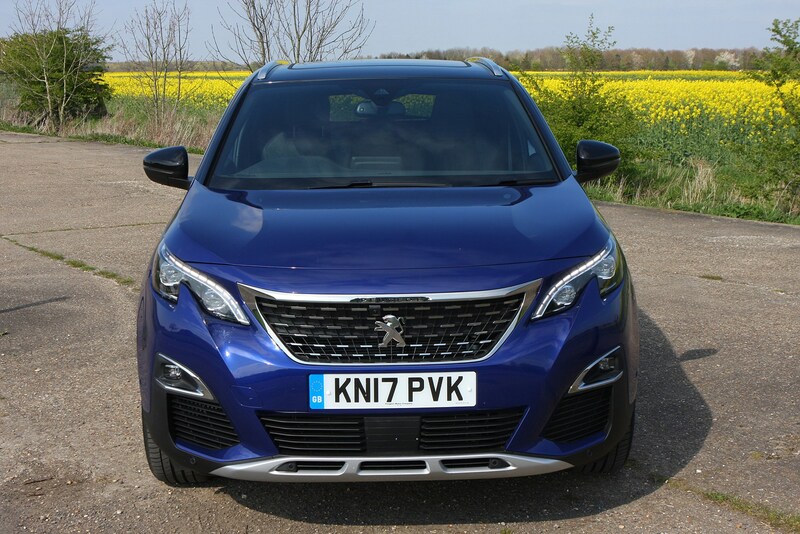 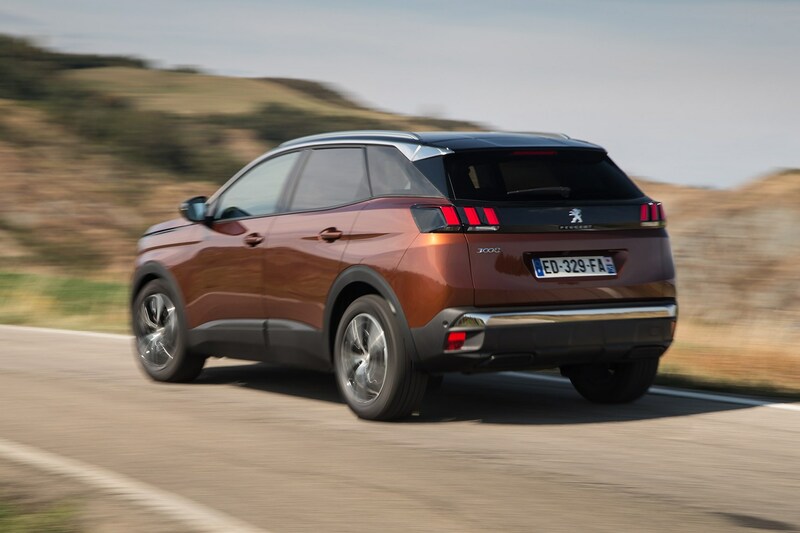 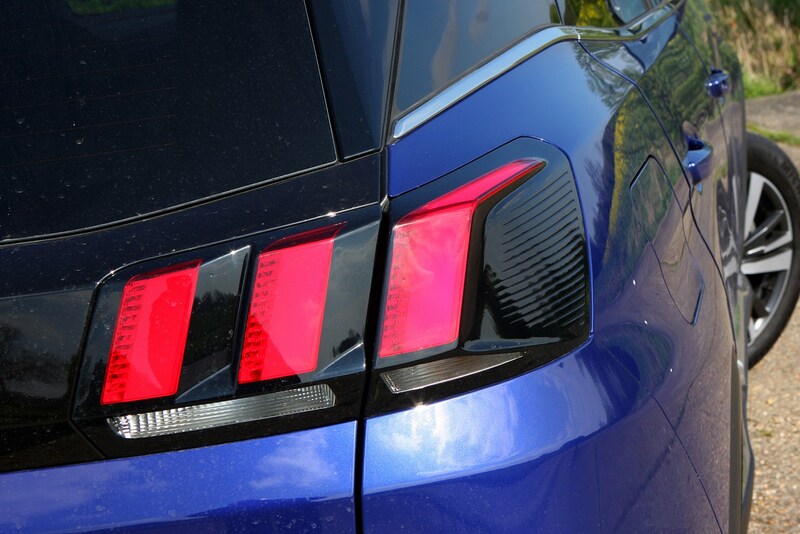 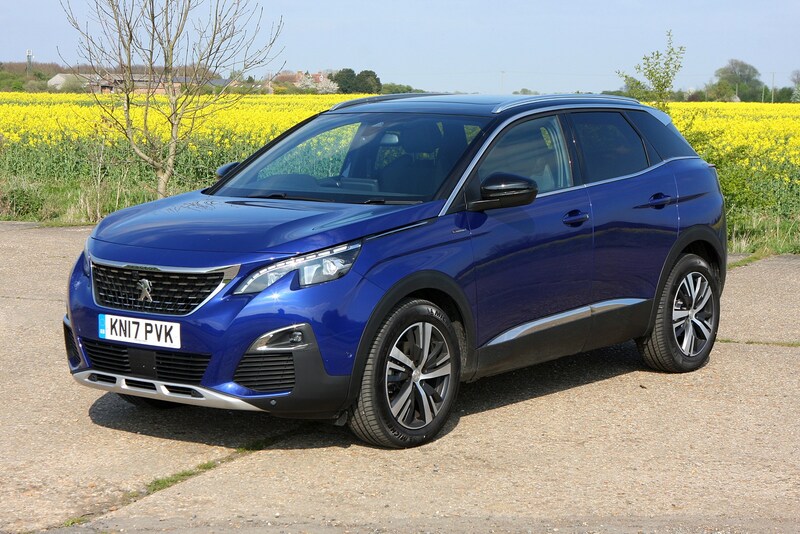 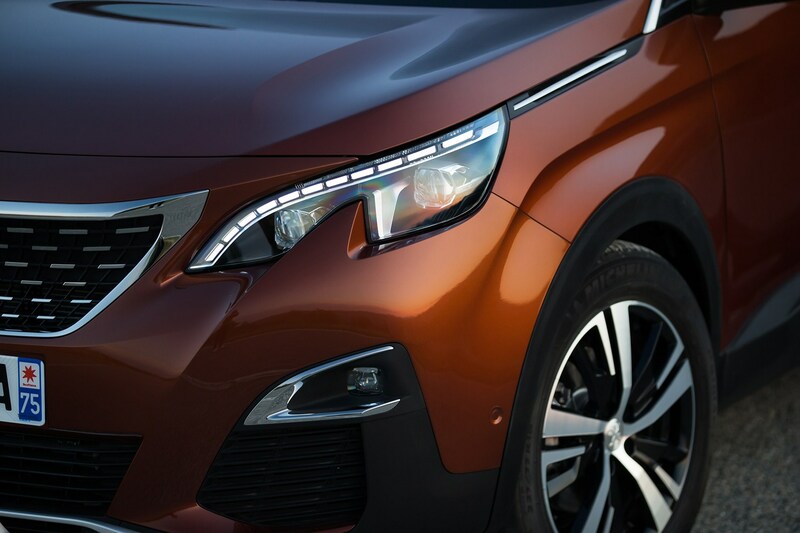 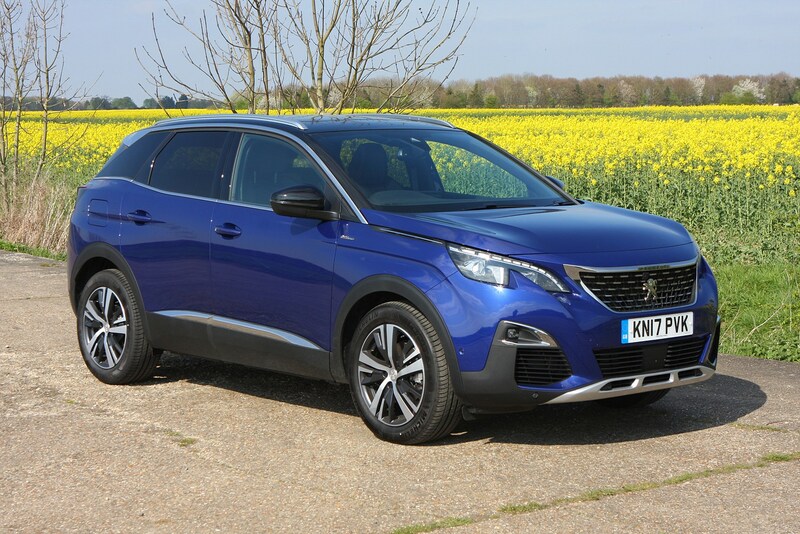 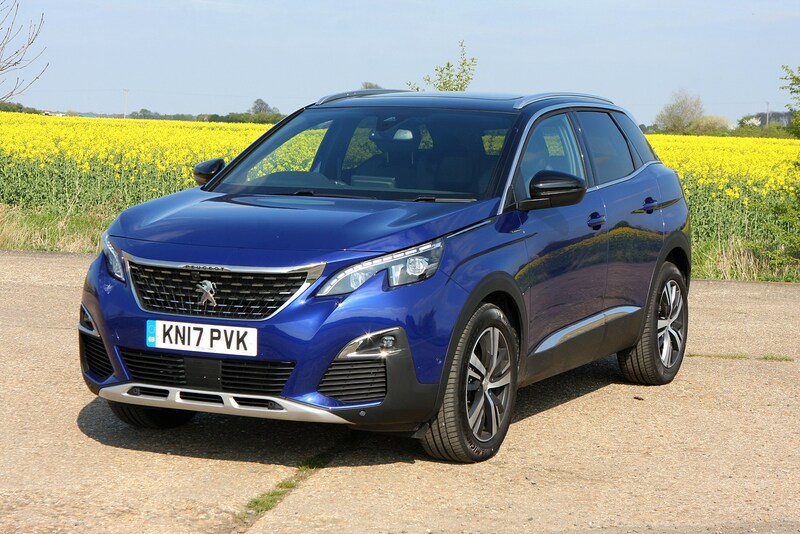 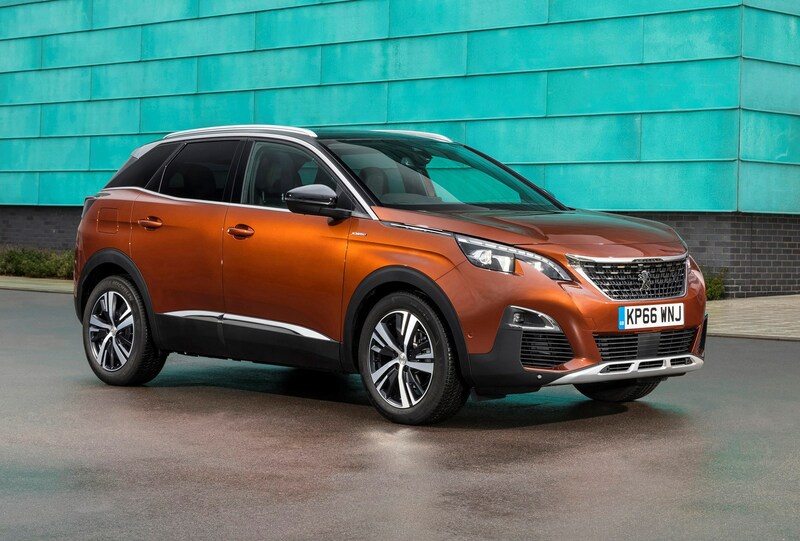 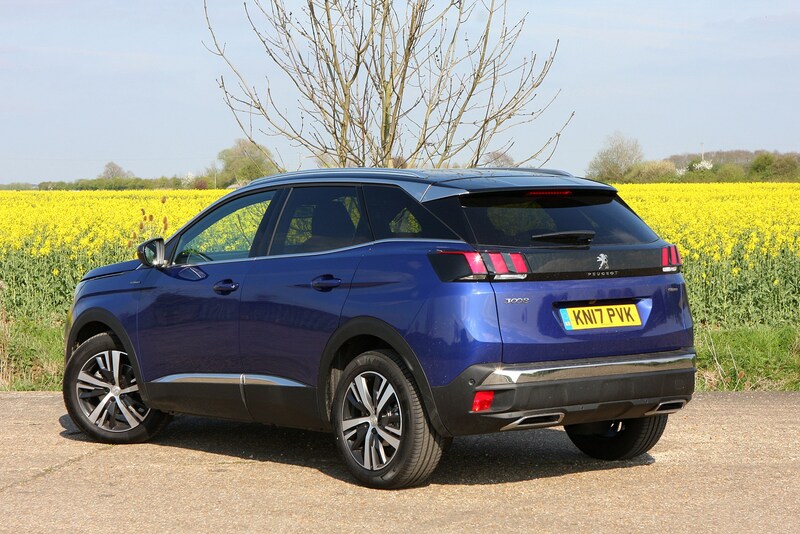 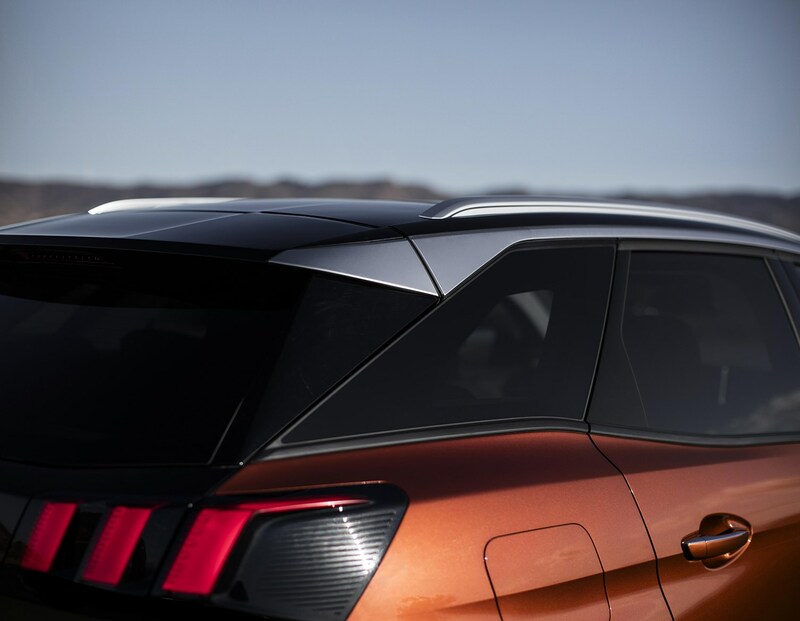 Will the Peugeot 3008 SUV fit in my garage? 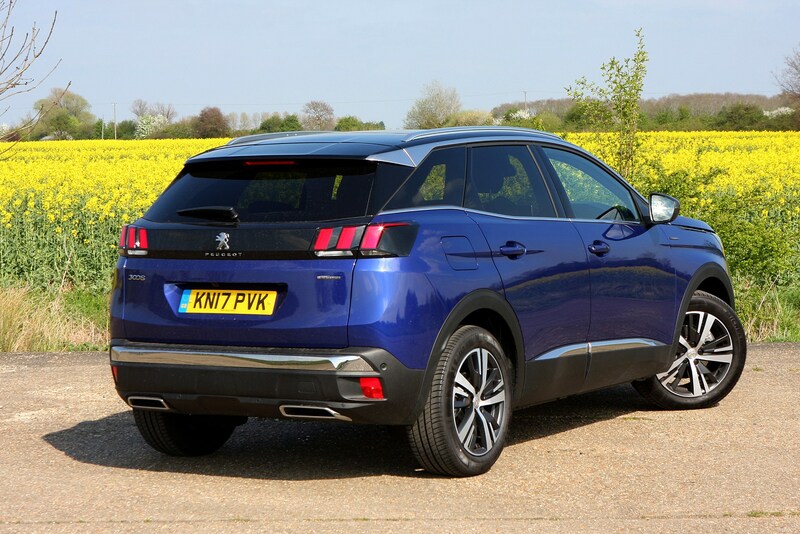 Will my luggage fit in the Peugeot 3008 SUV? 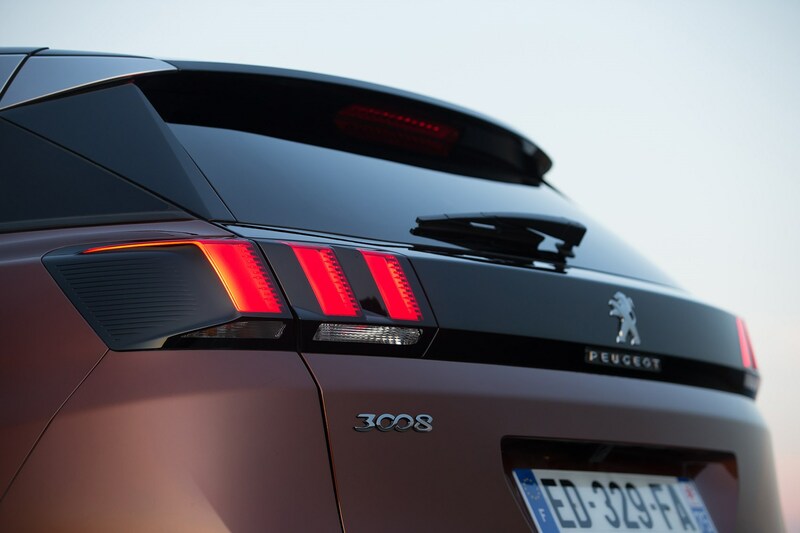 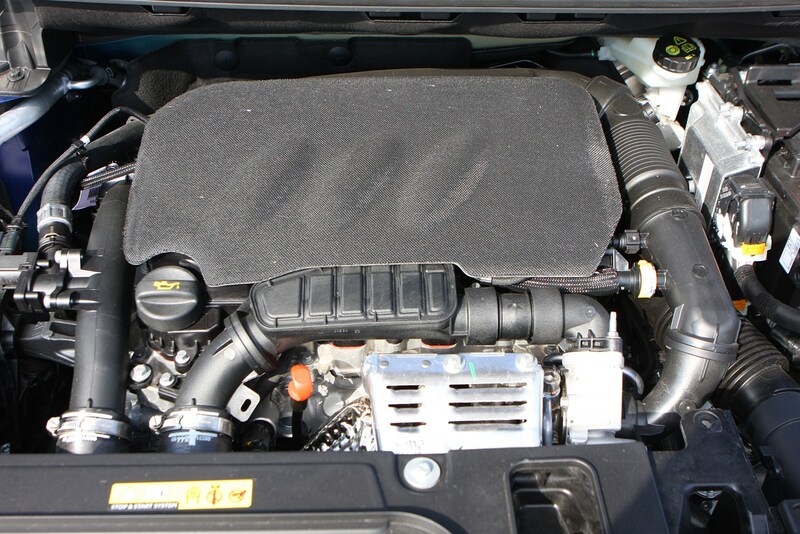 The 3008 offers up one of the largest boots in its class. 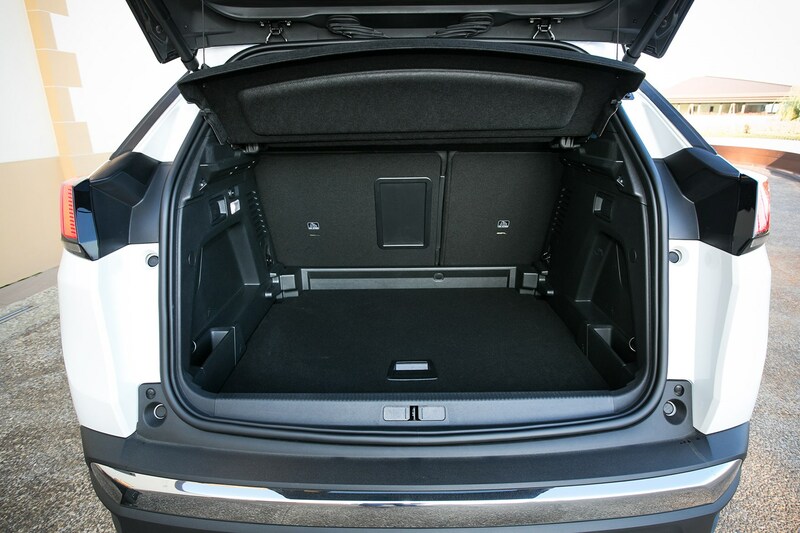 With the rear seats in place and the adjustable boot floor in its lowest position, a huge 591 litres of space is available. 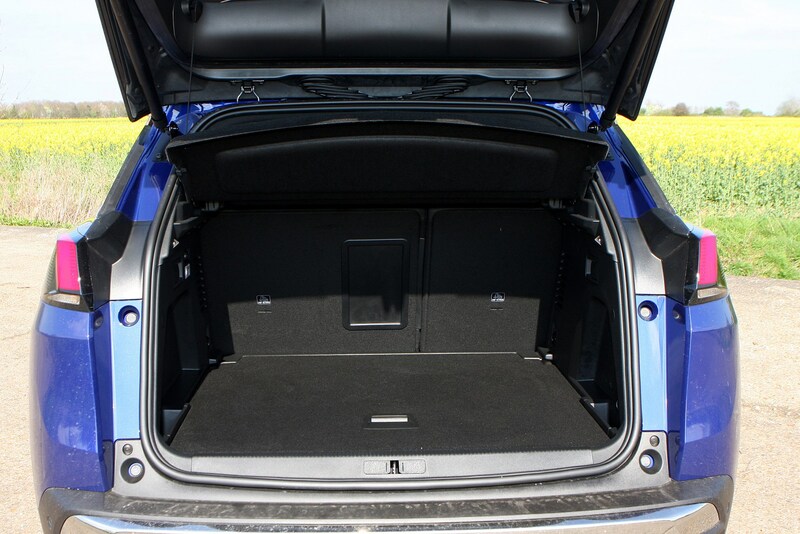 Position the floor a little higher up in line with the boot sill, and it’s still an impressive 520 litres. 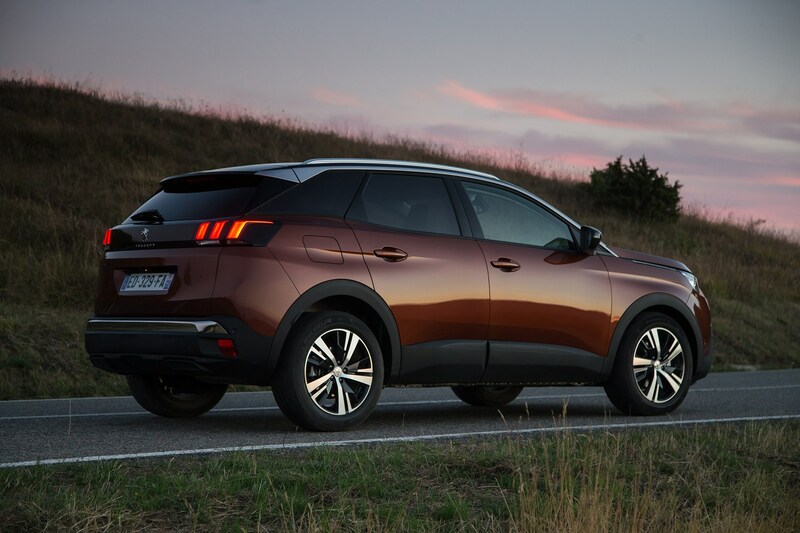 That’s more than the 510 litres offered by the SEAT Ateca. 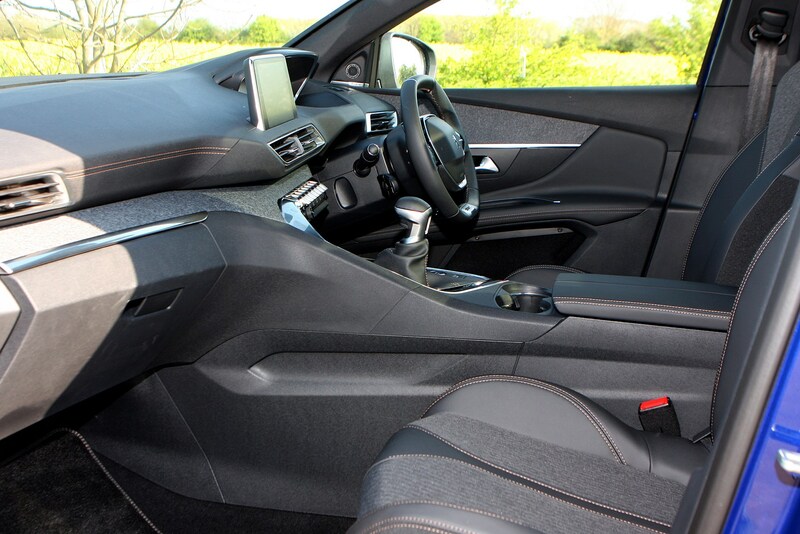 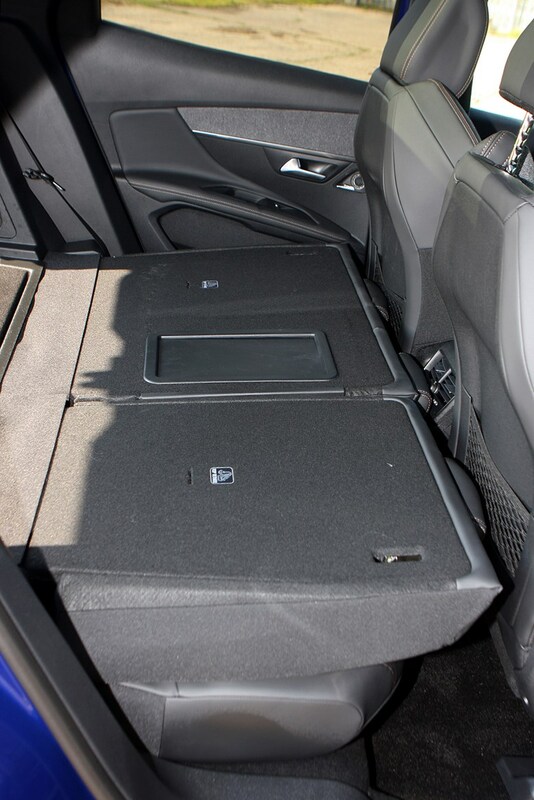 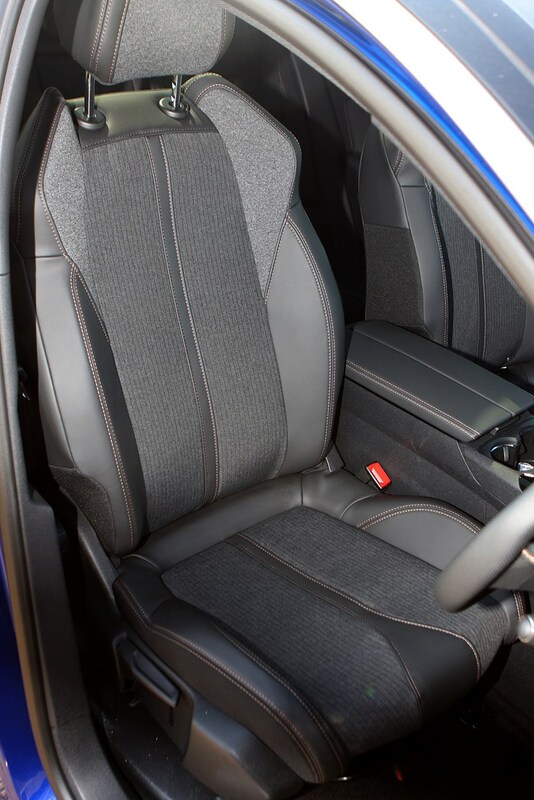 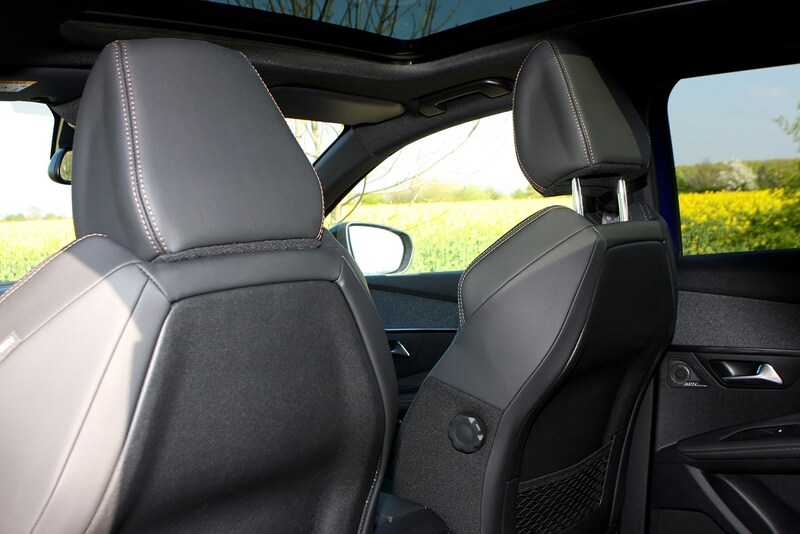 It’s easy to tumble the seats down, increasing capacity to 1,670 litres. 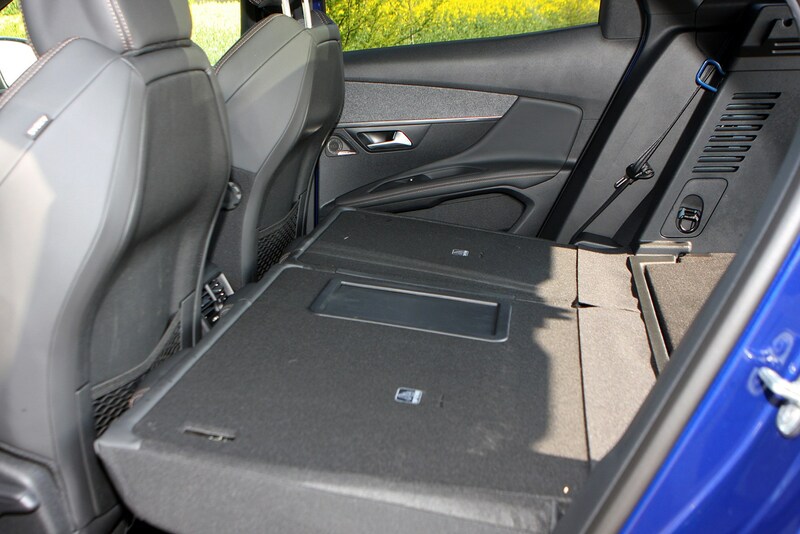 From October 2017, GT-Line and GT-spec models will come with a boot floor that also slides out by 30cm to aid loading heavier items, too. 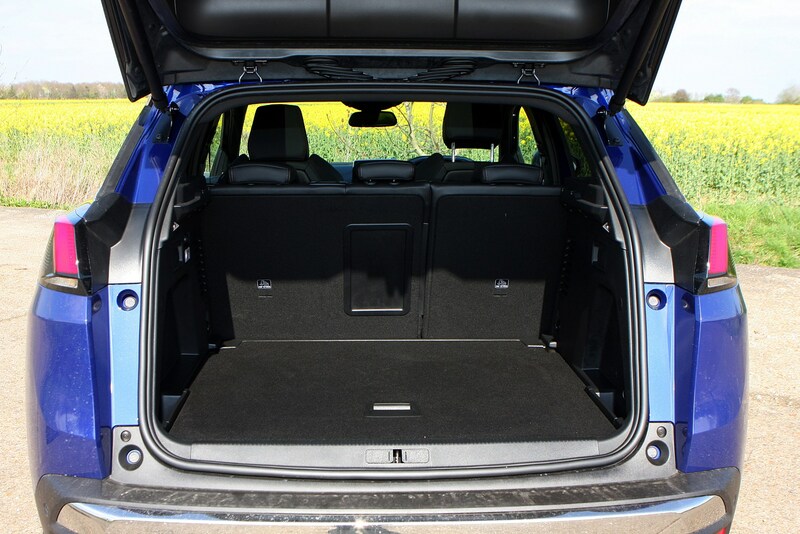 Check the table below to see how the Peugeot 3008 SUV compares to other similar cars in terms of available boot space.